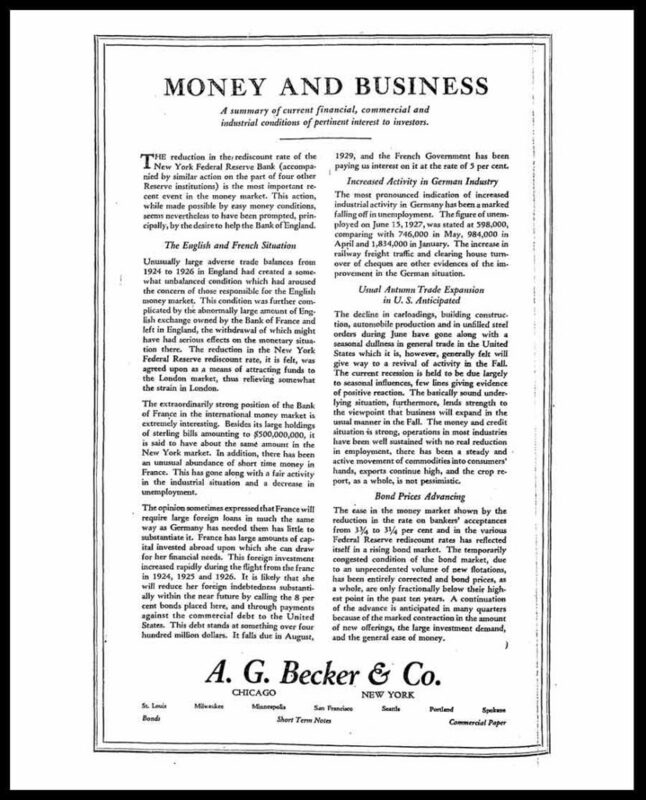 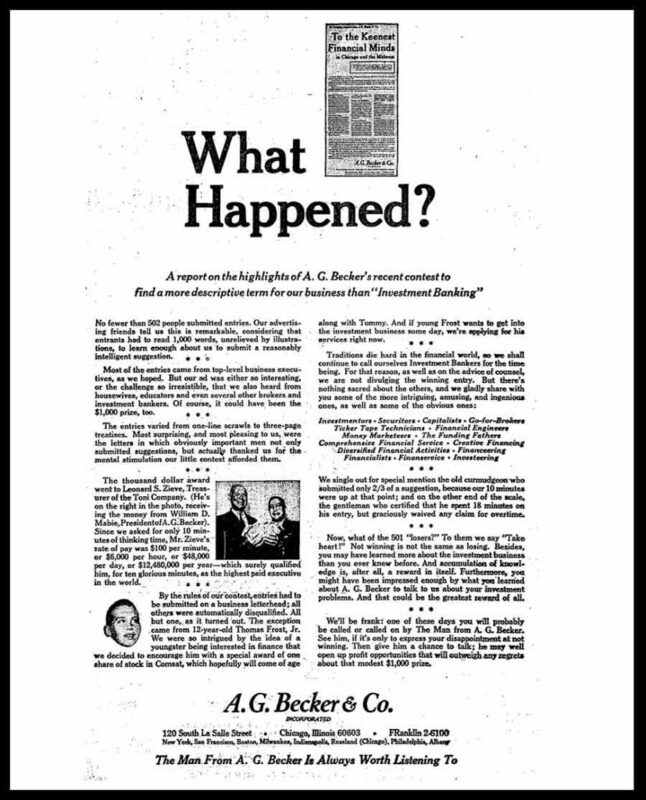 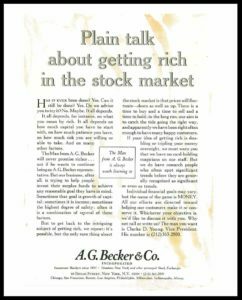 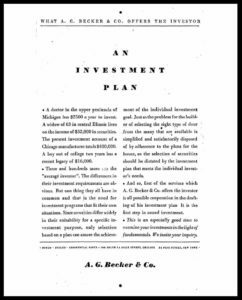 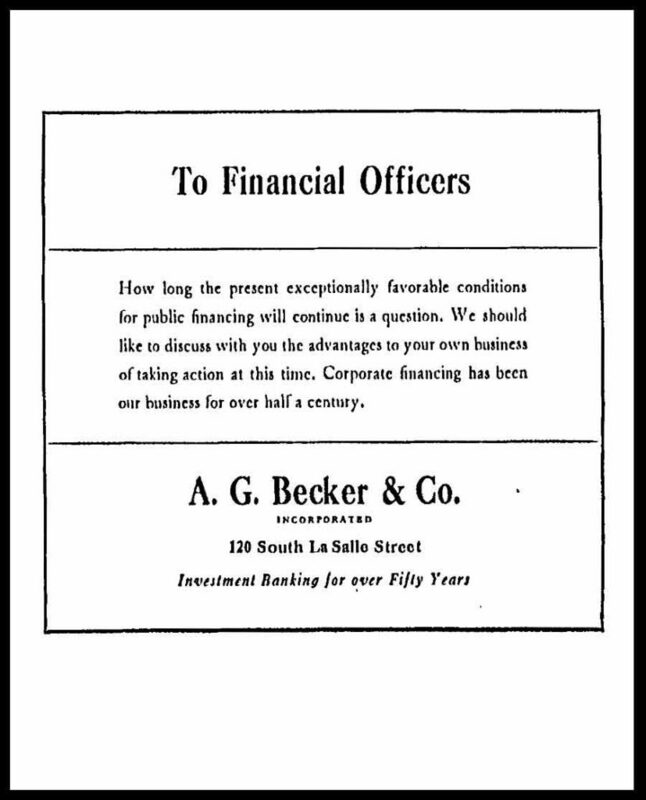 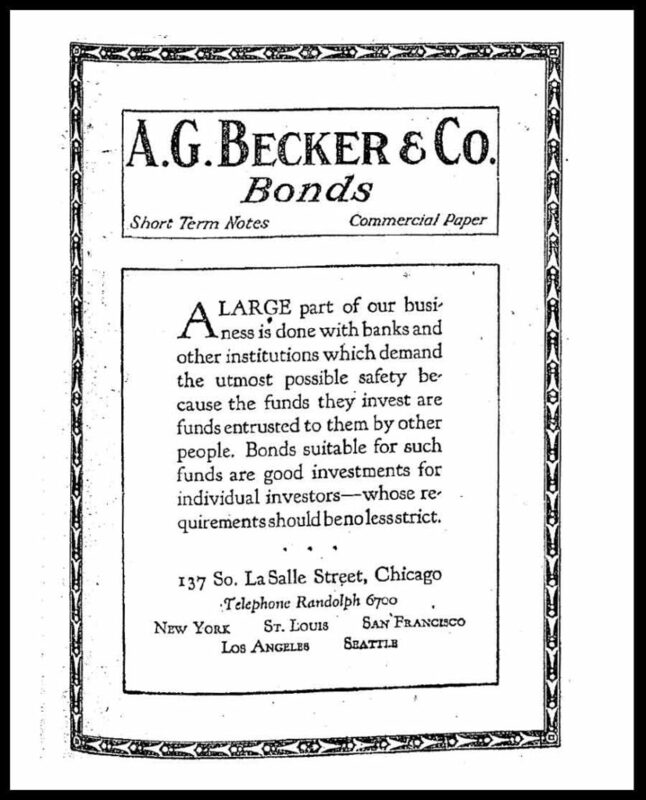 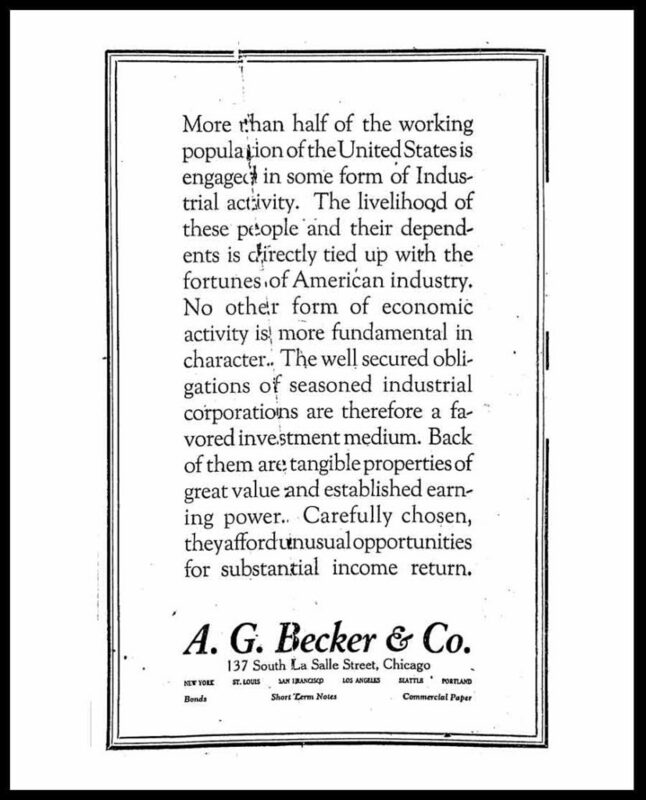 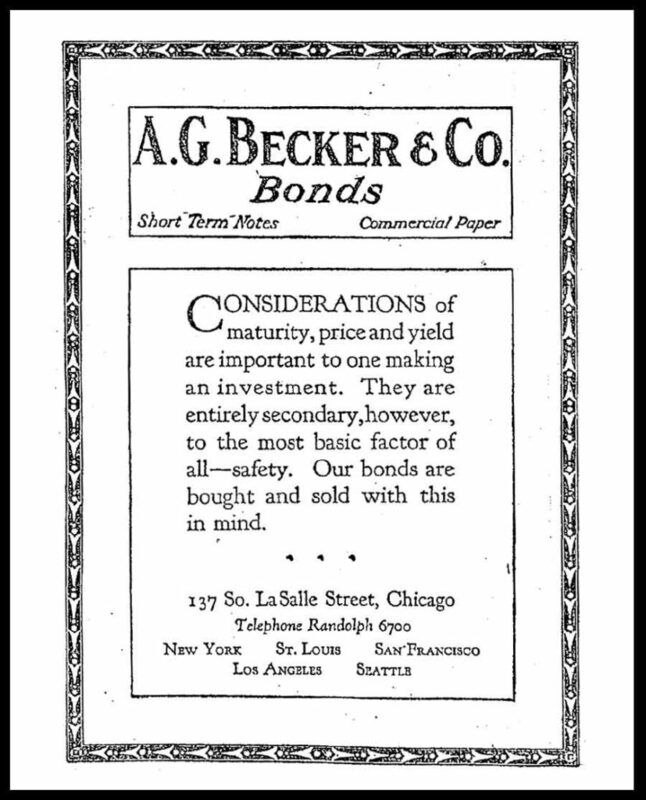 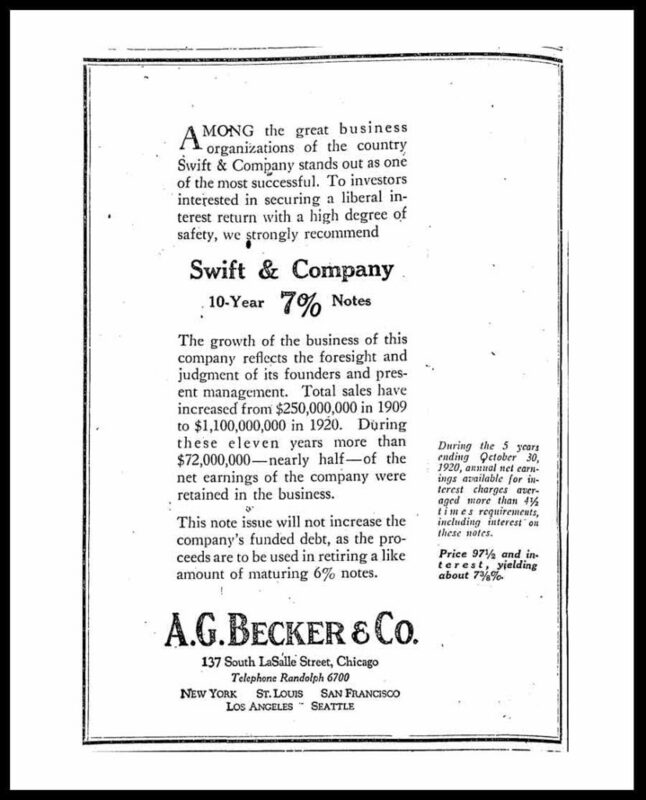 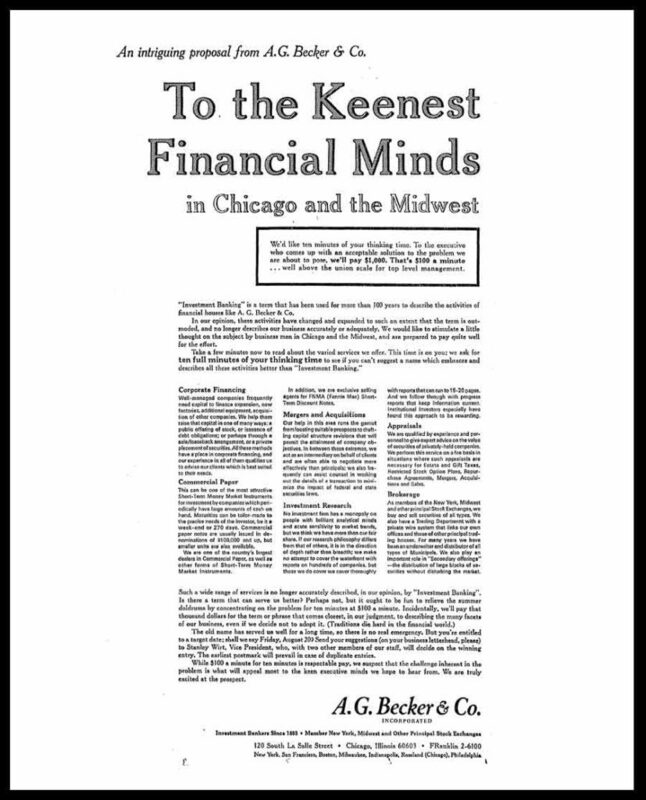 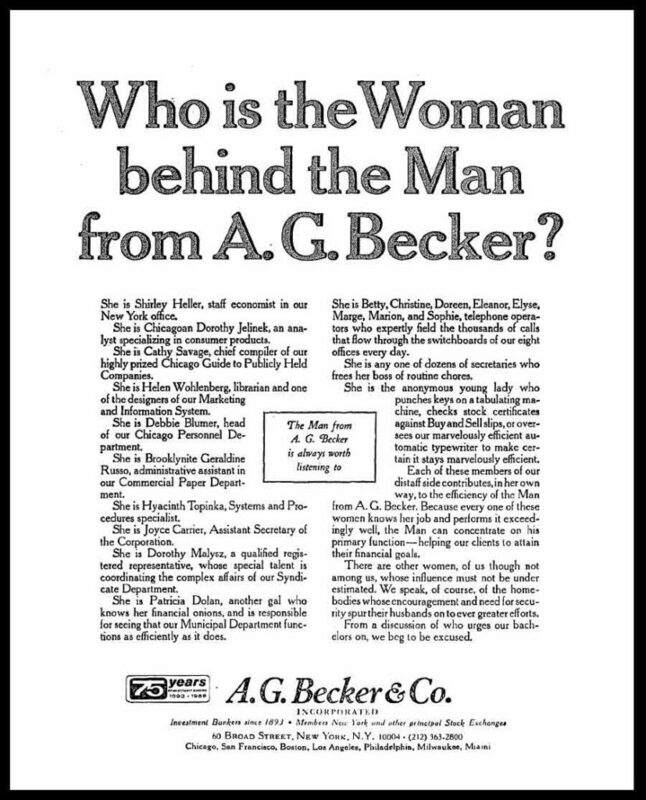 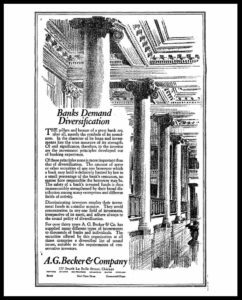 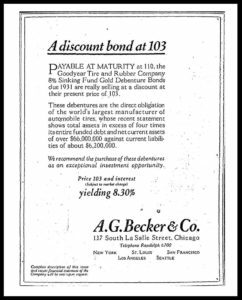 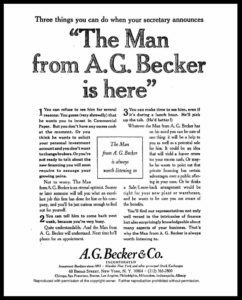 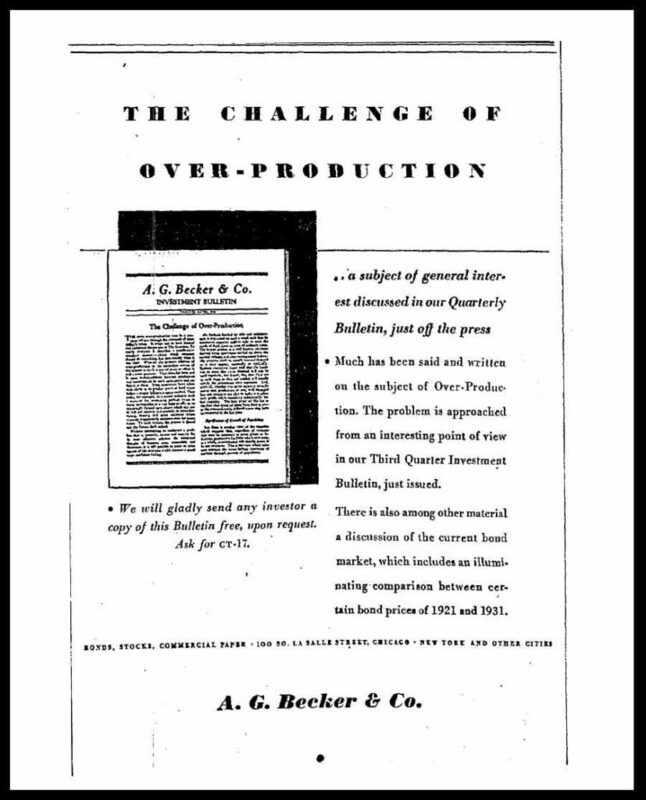 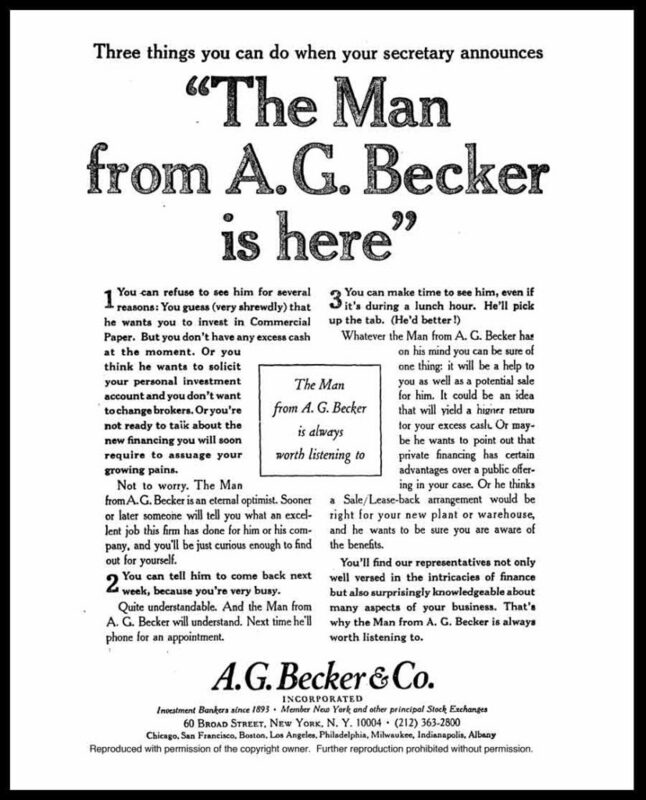 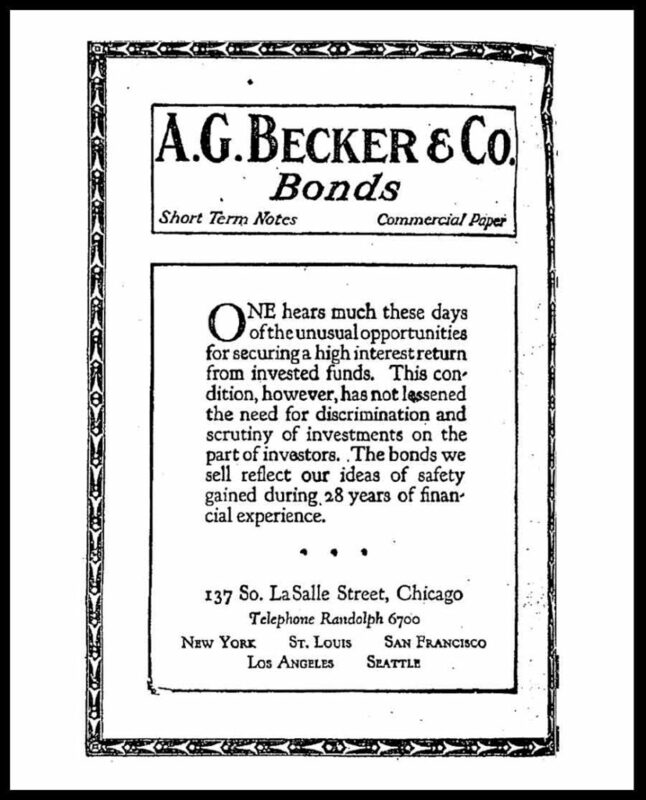 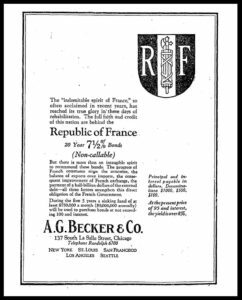 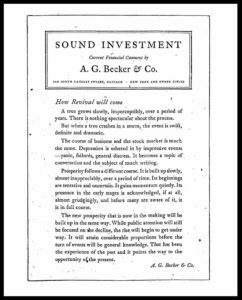 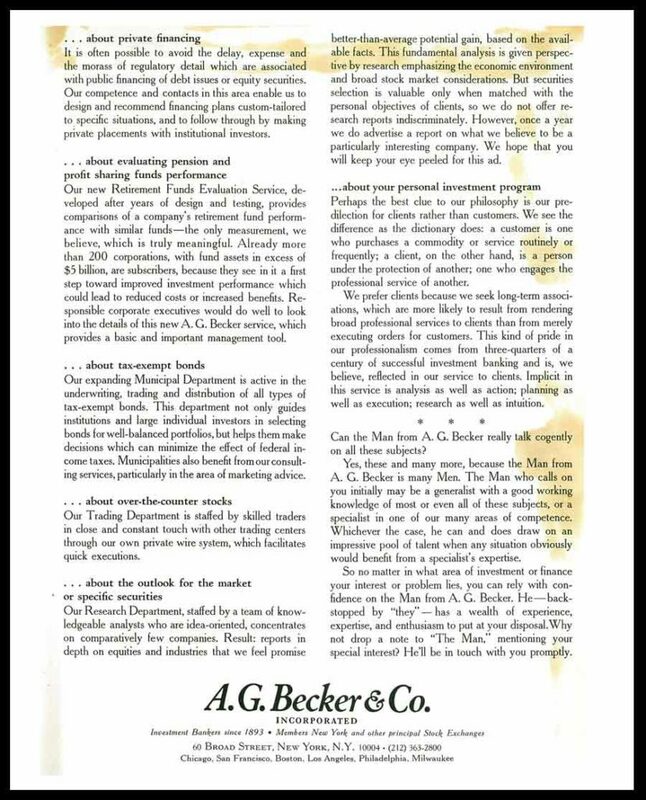 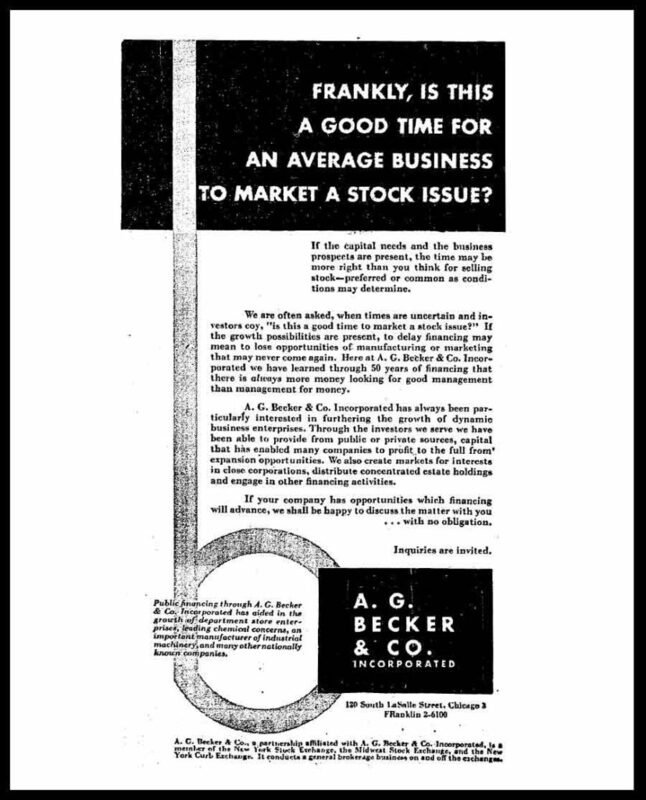 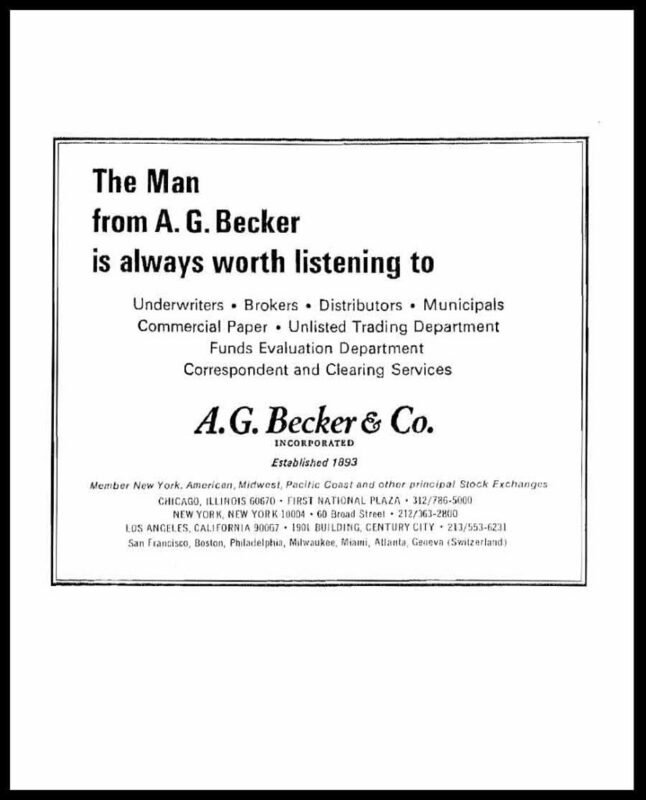 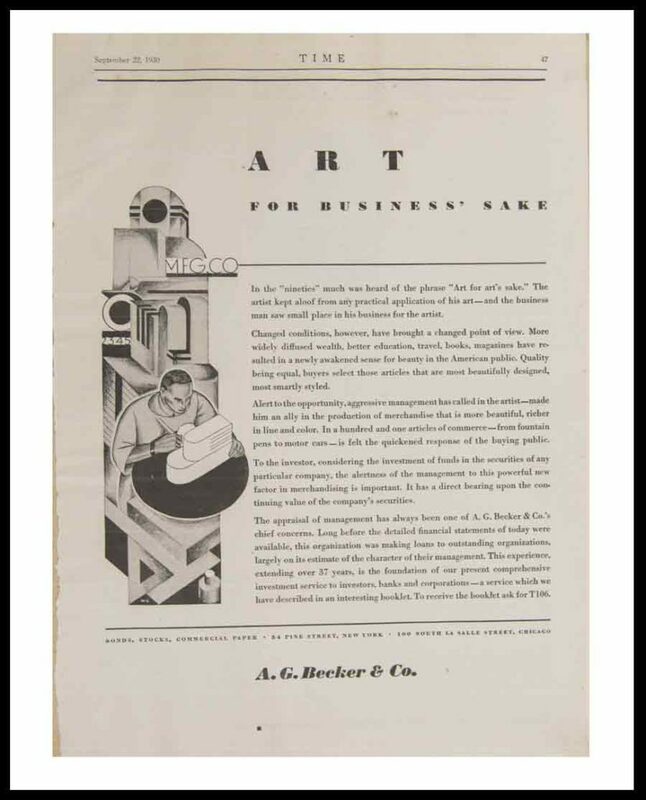 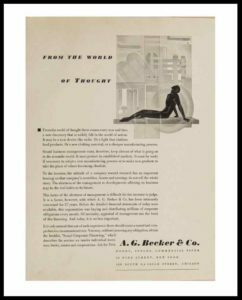 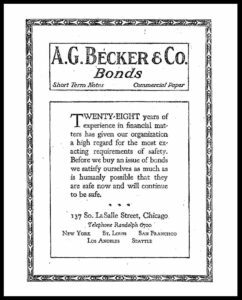 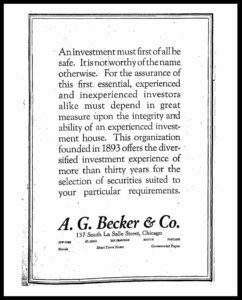 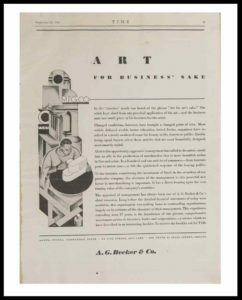 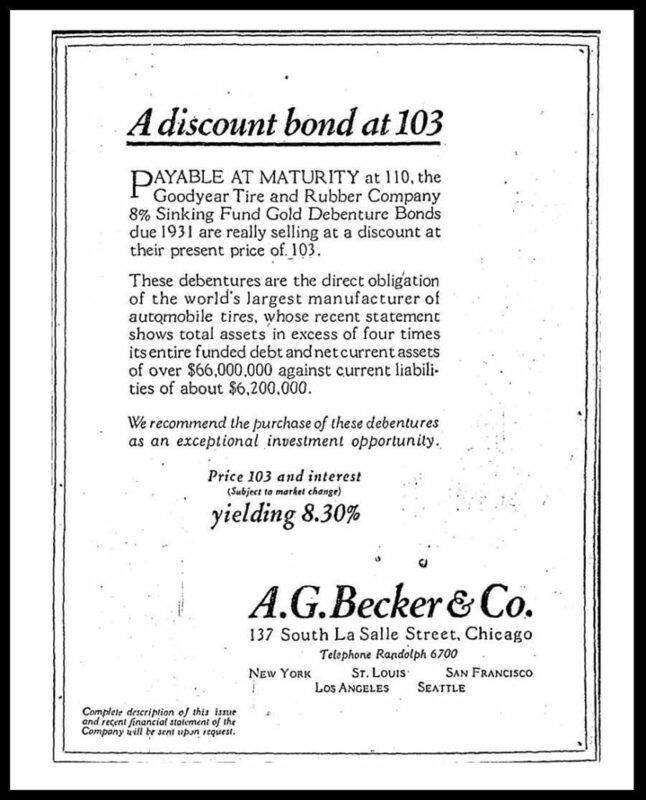 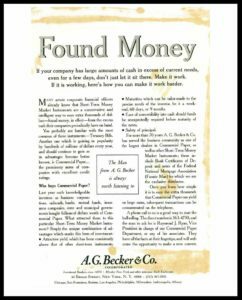 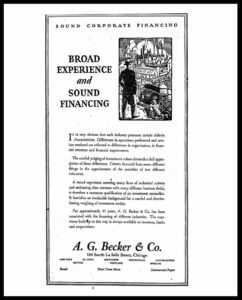 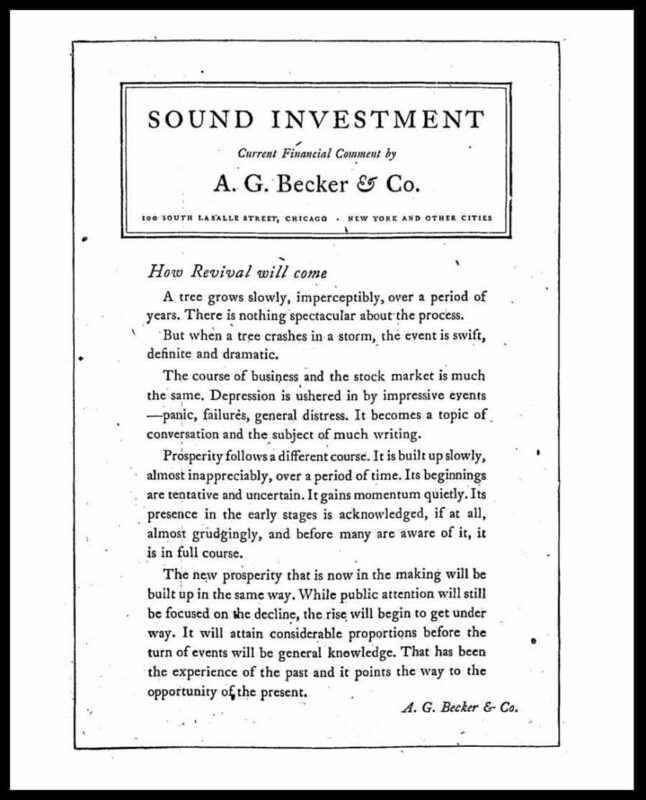 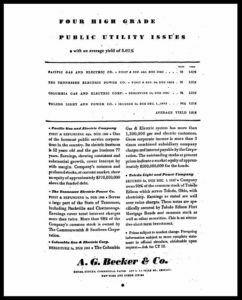 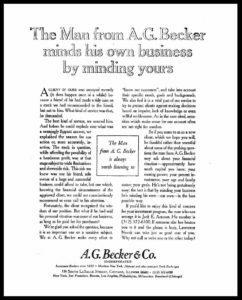 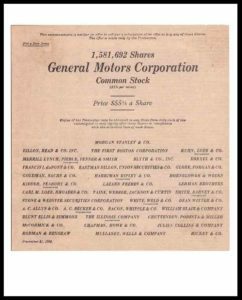 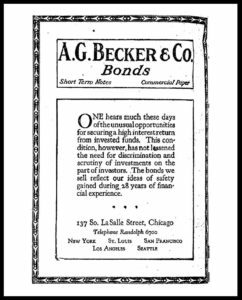 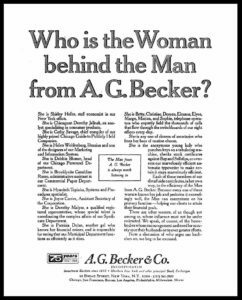 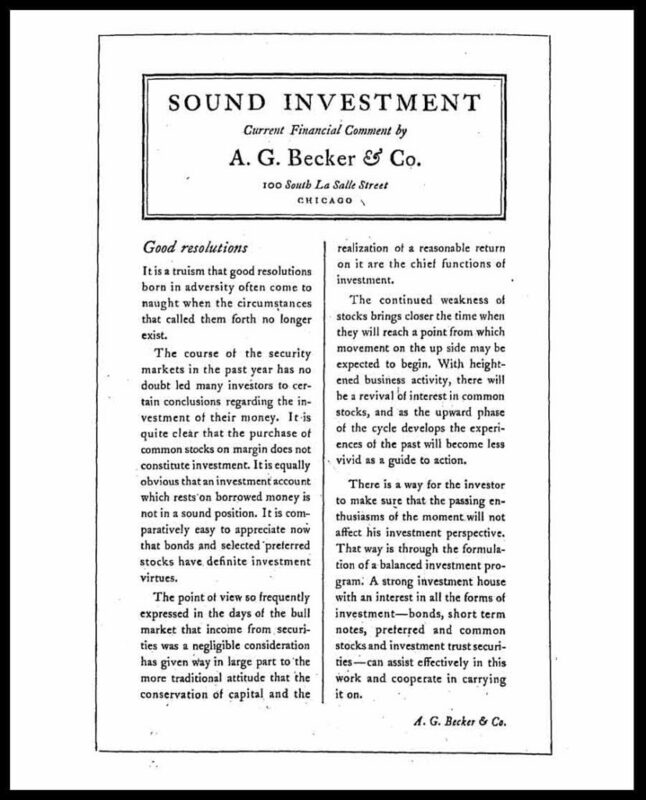 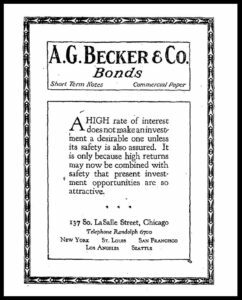 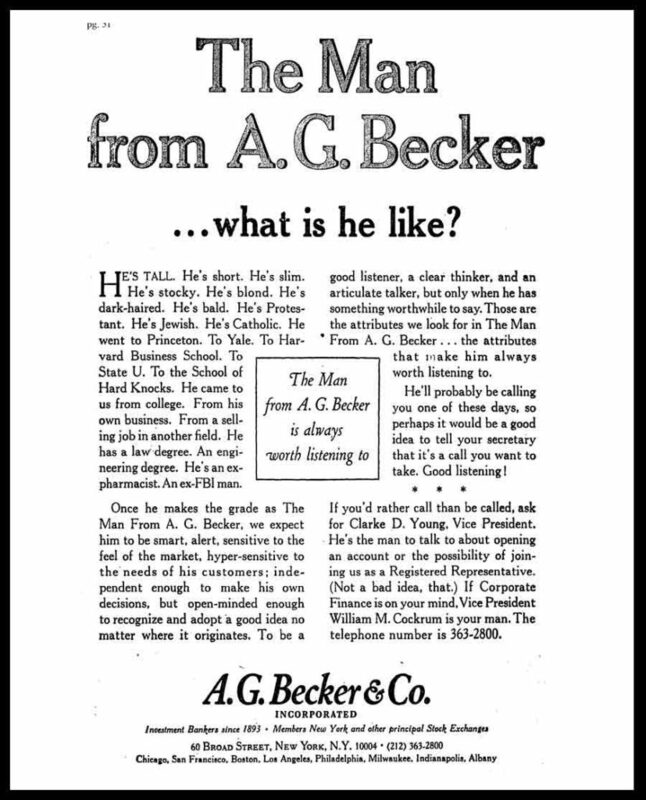 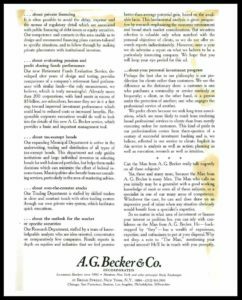 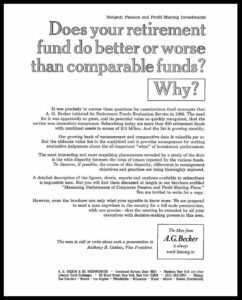 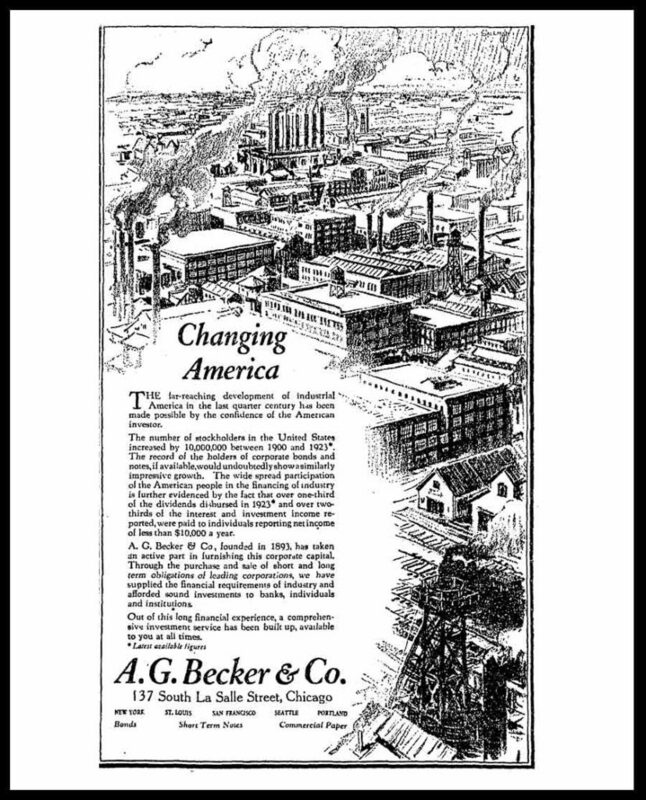 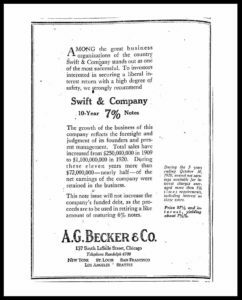 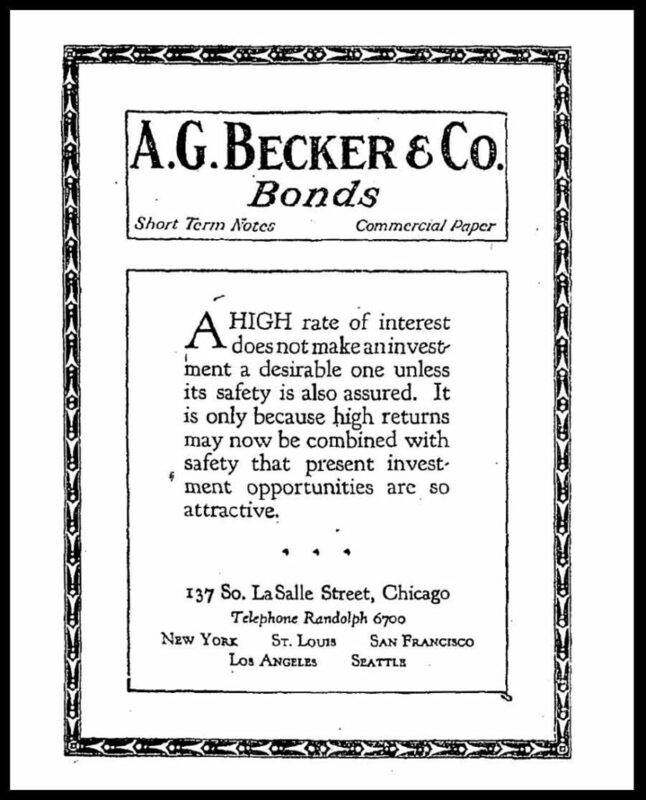 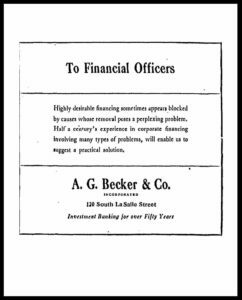 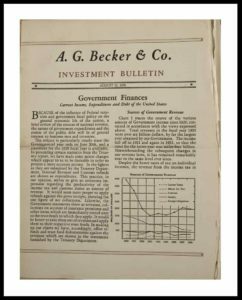 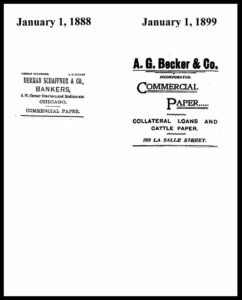 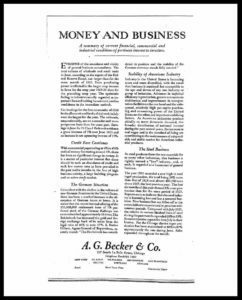 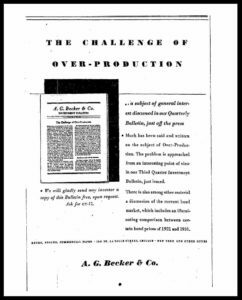 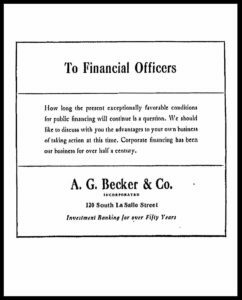 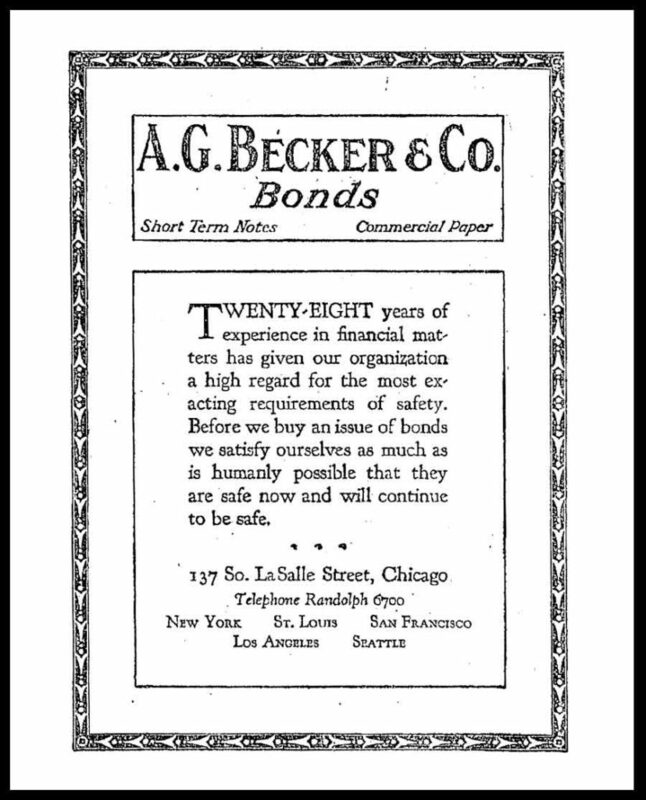 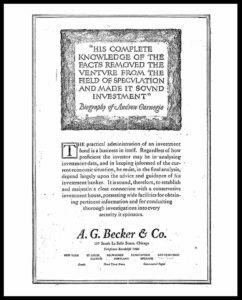 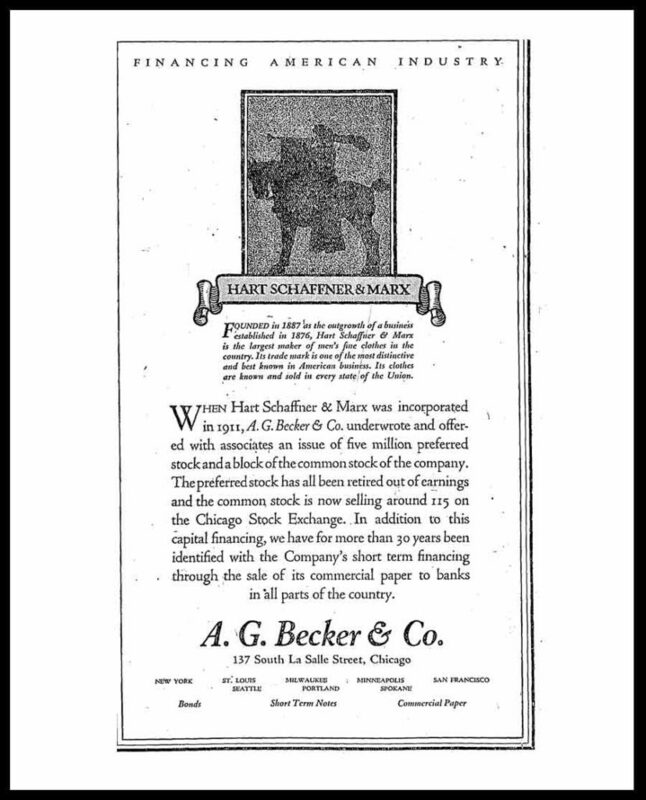 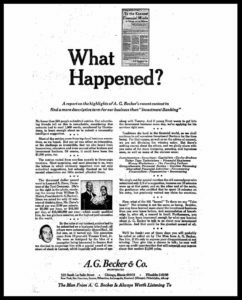 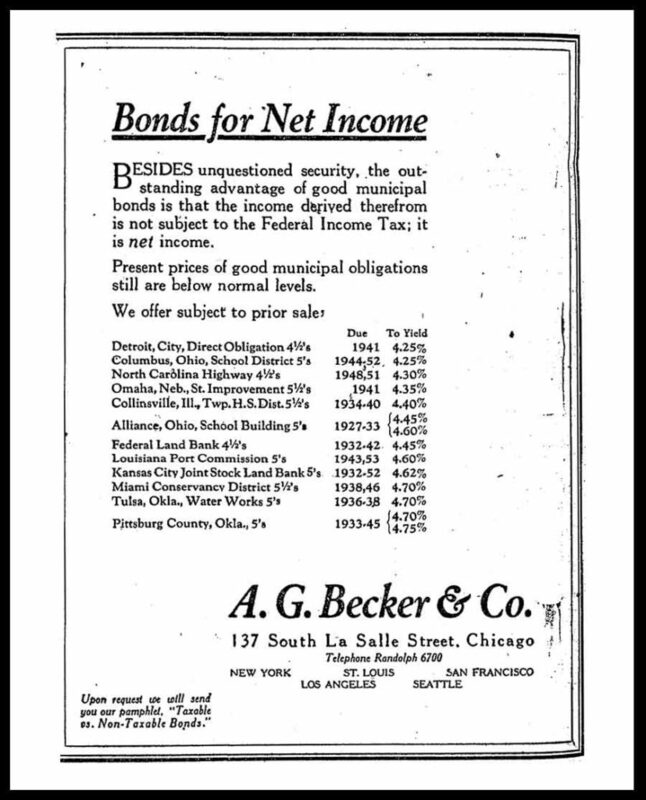 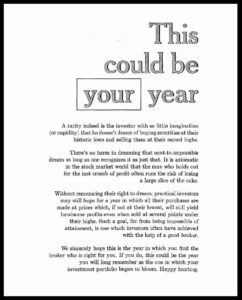 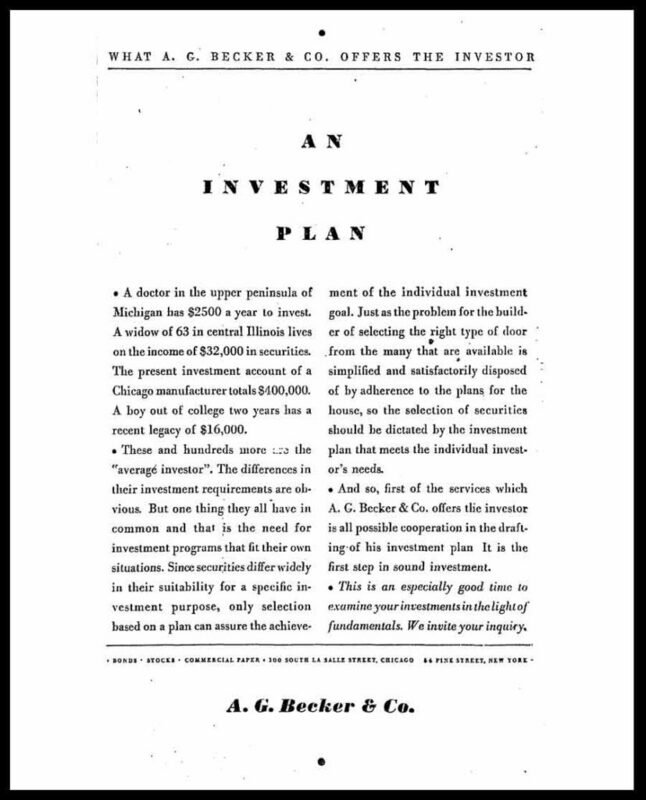 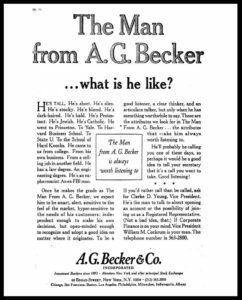 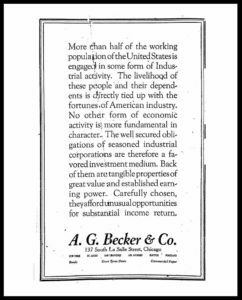 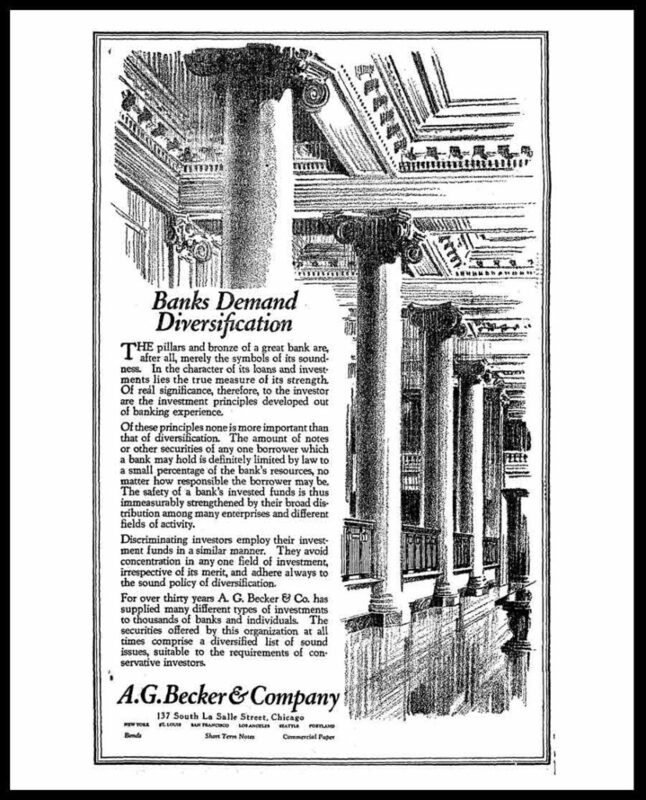 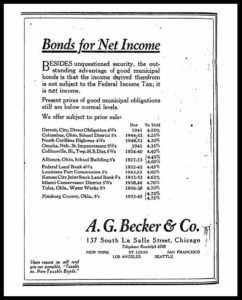 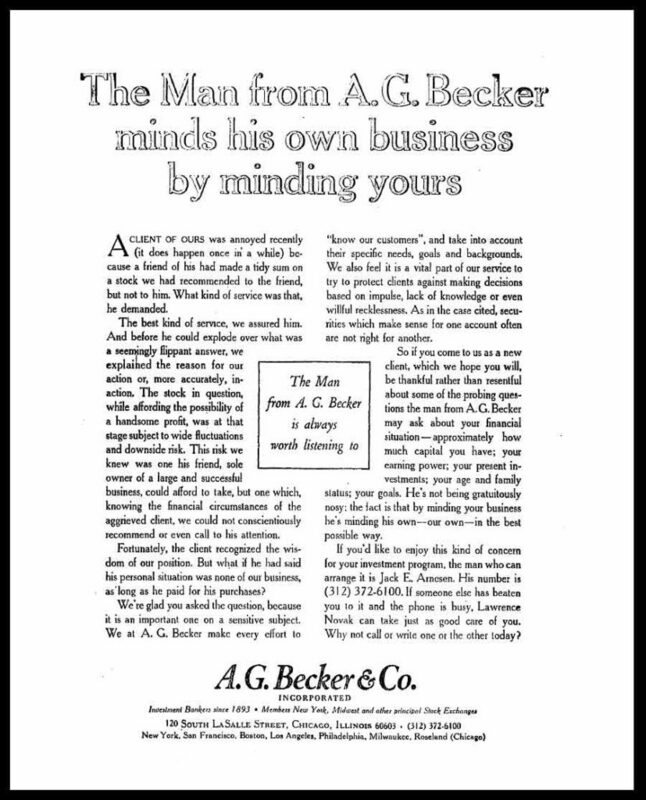 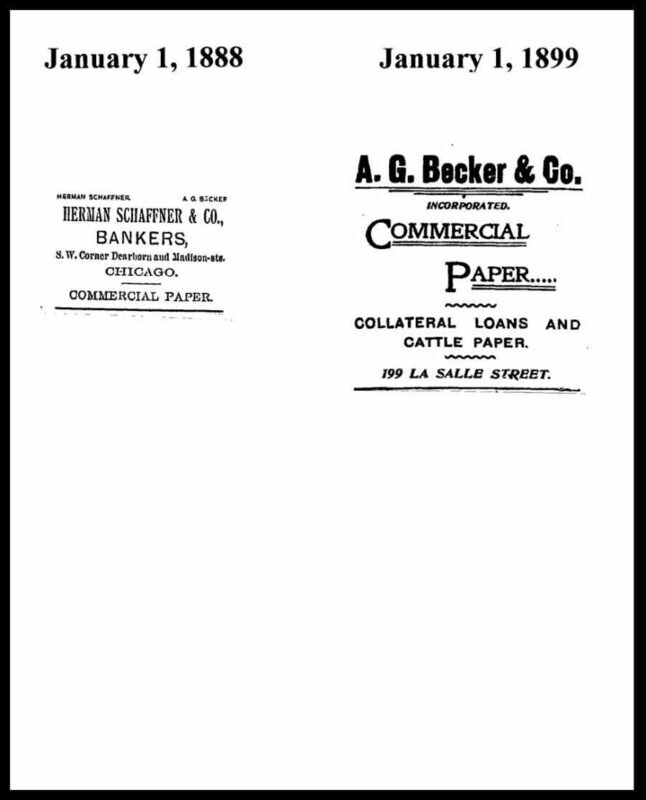 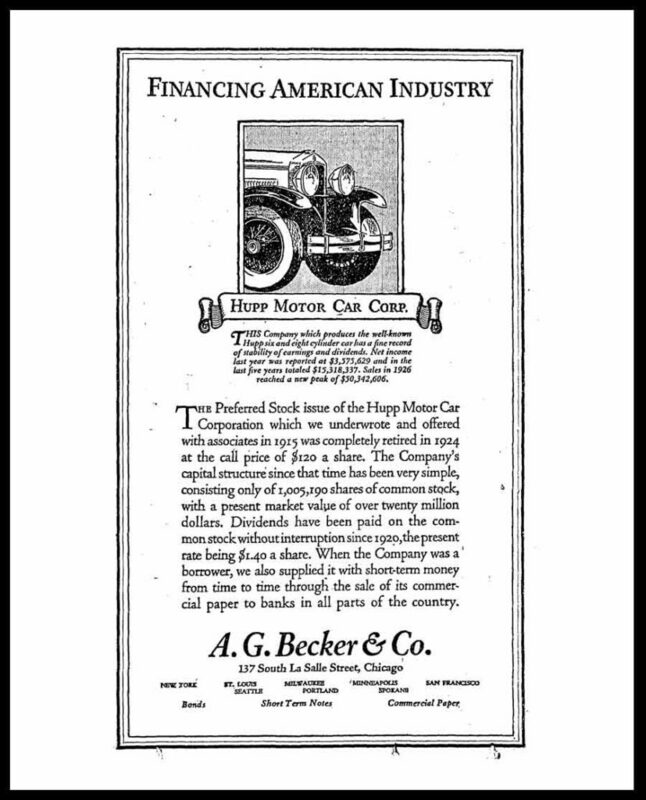 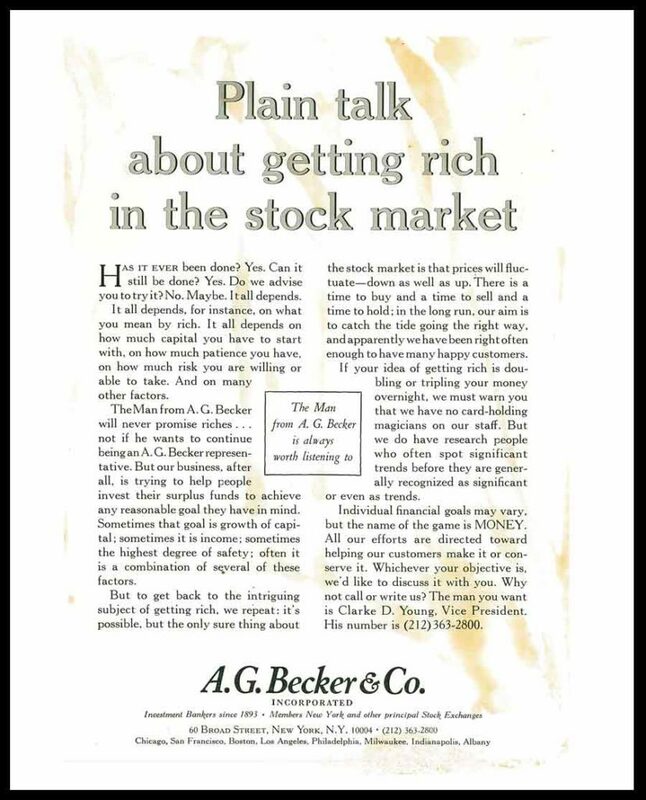 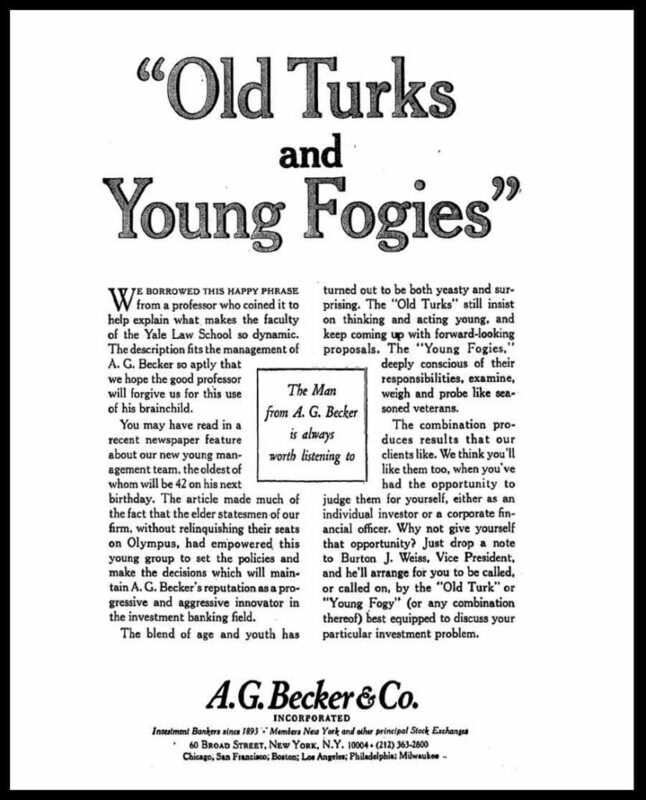 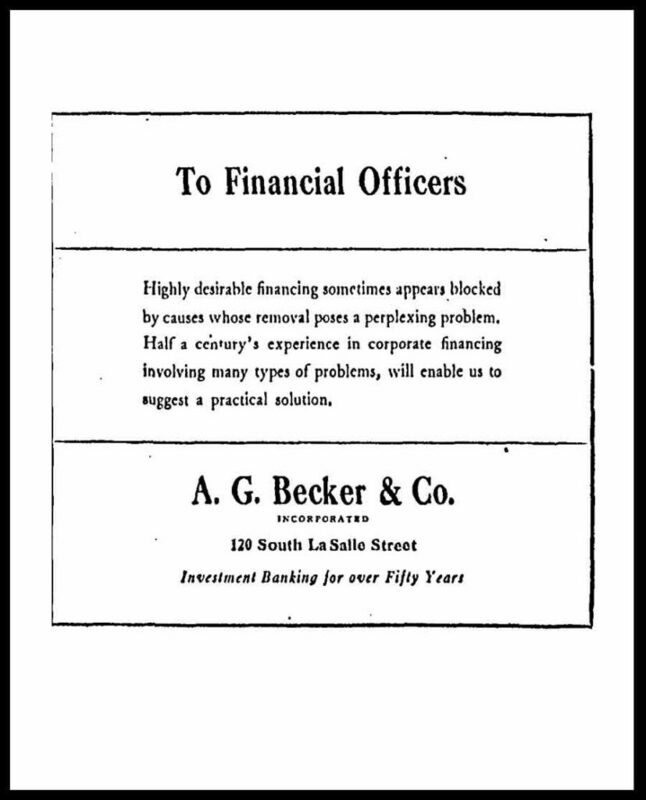 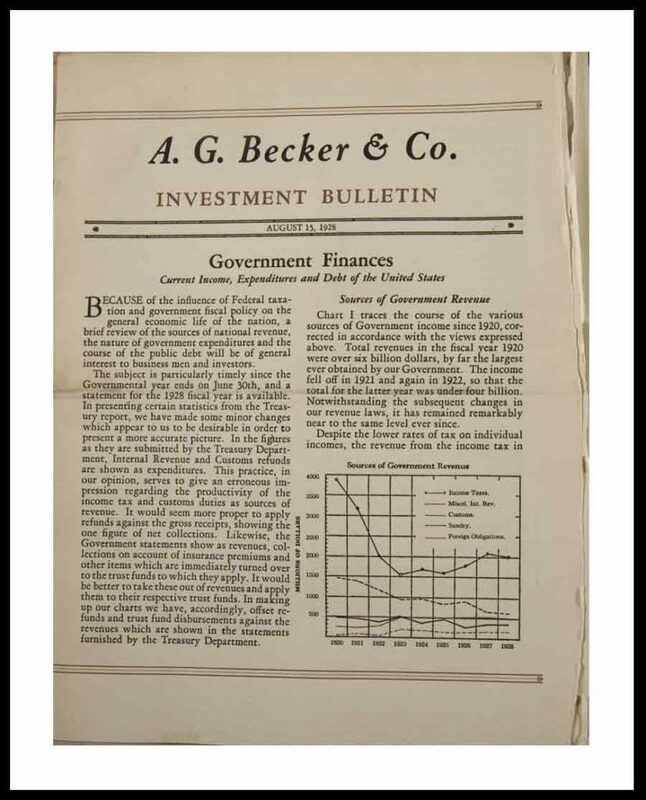 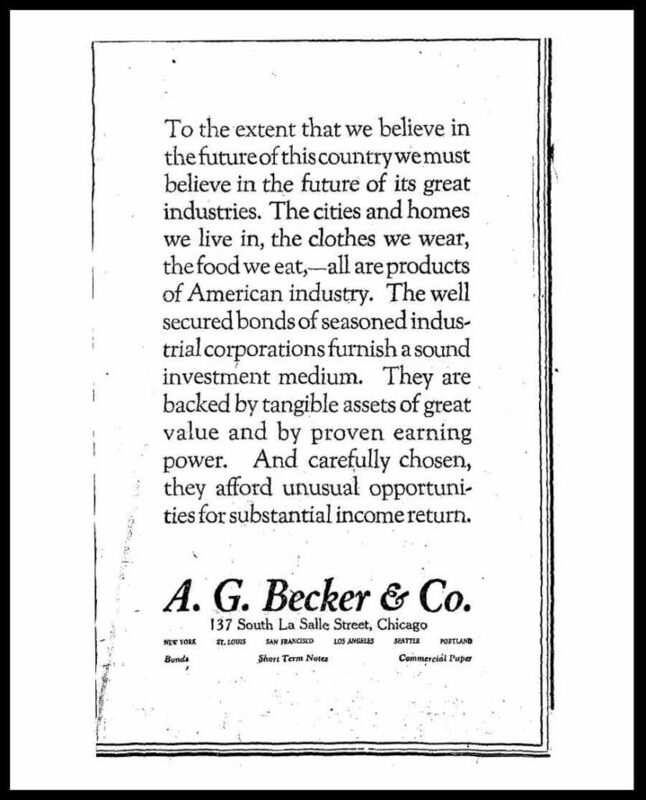 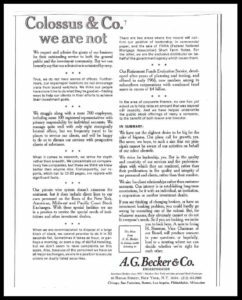 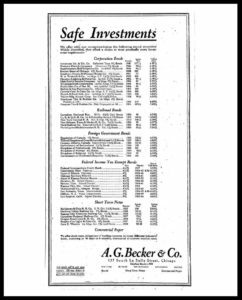 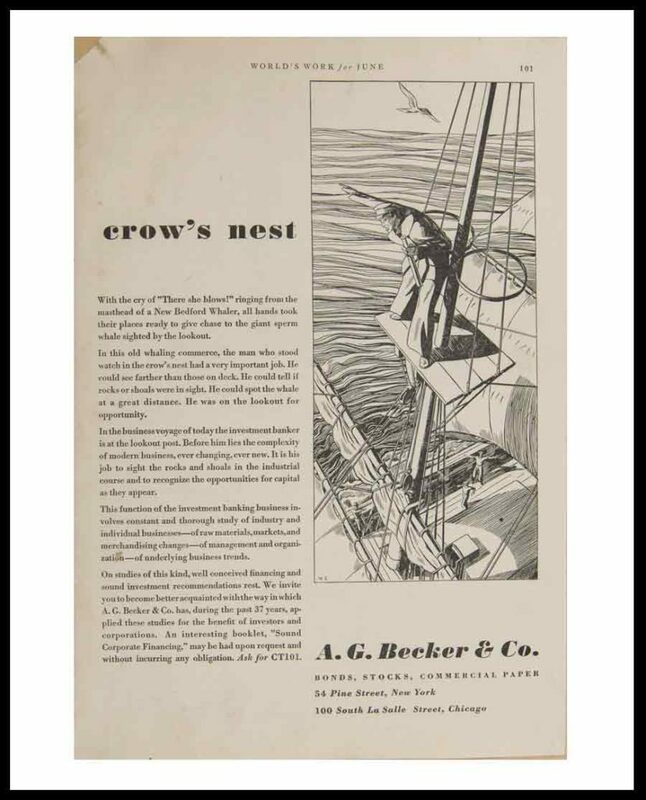 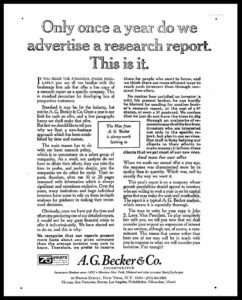 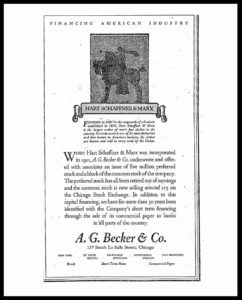 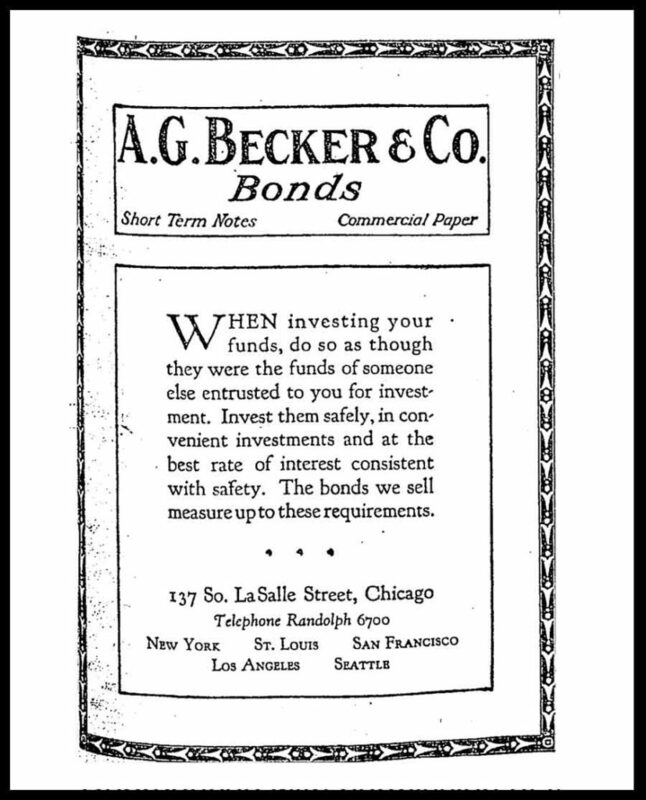 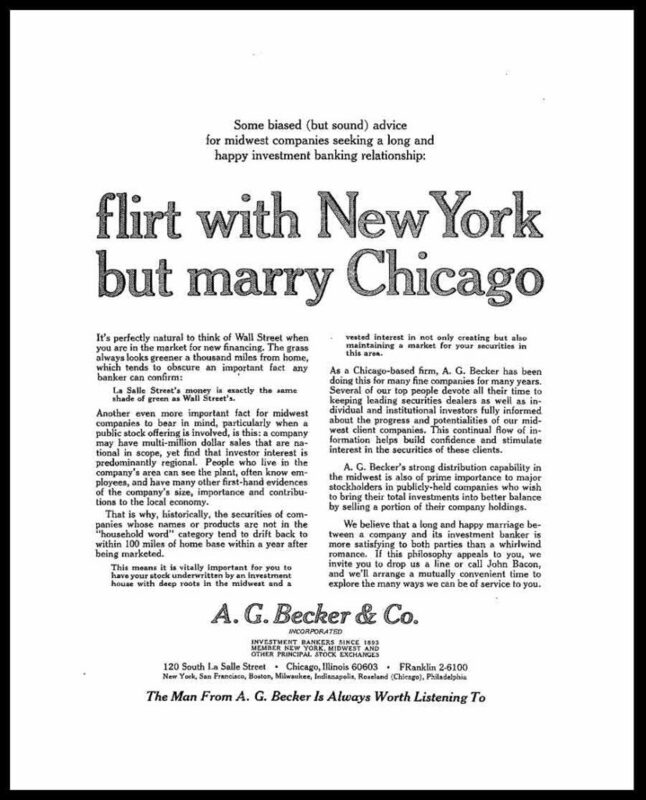 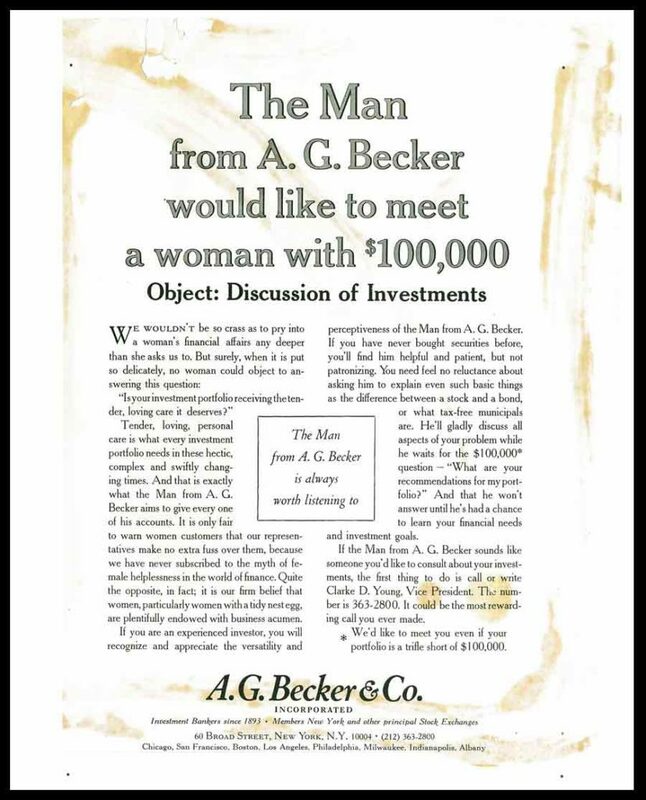 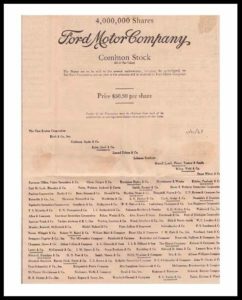 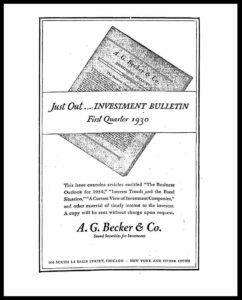 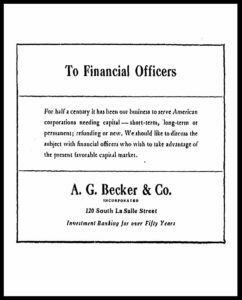 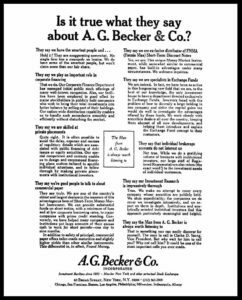 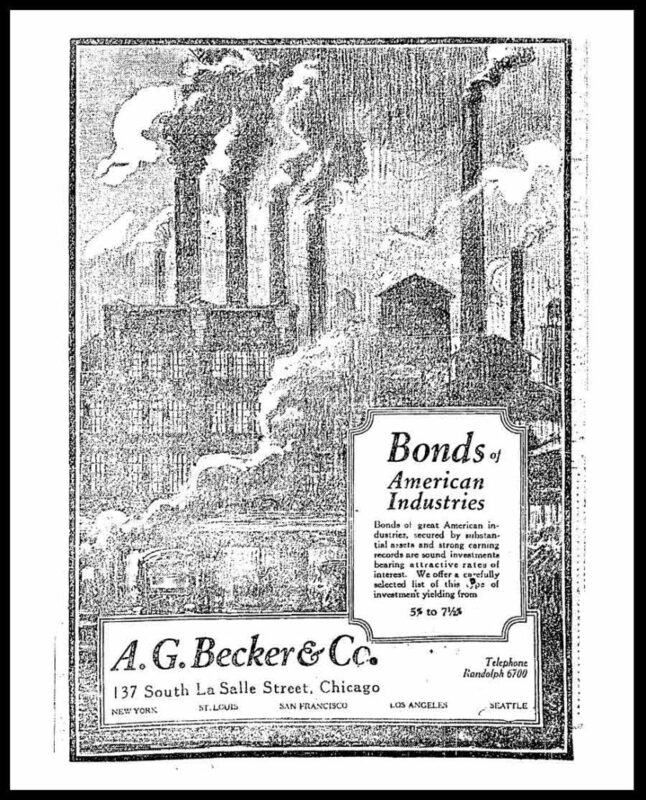 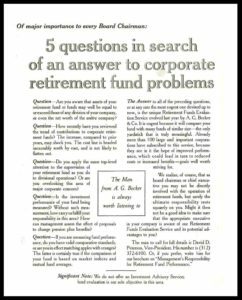 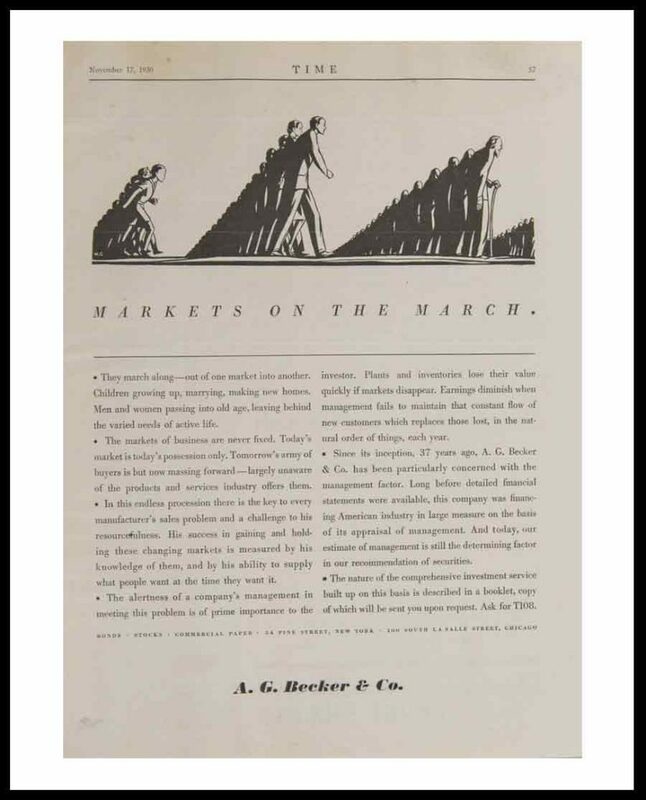 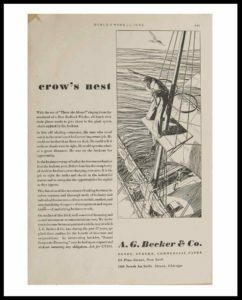 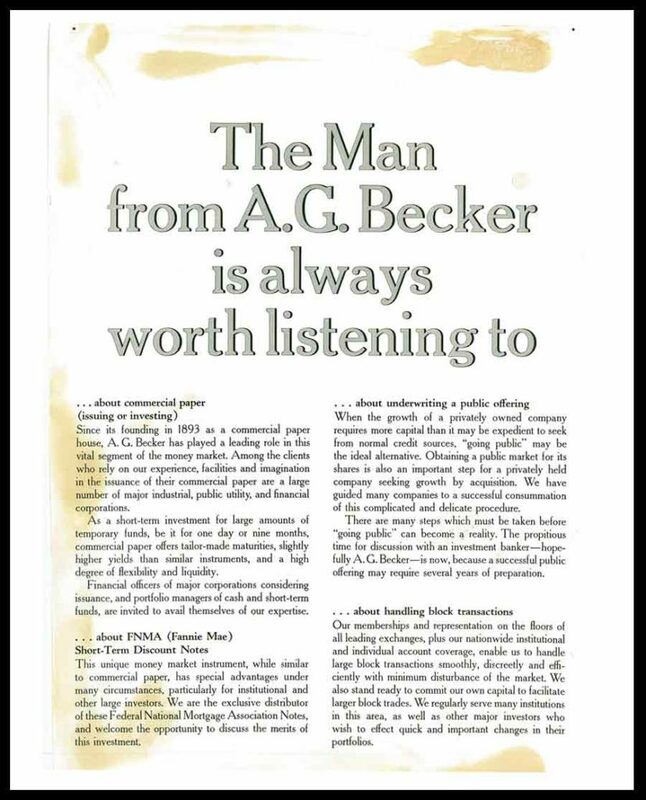 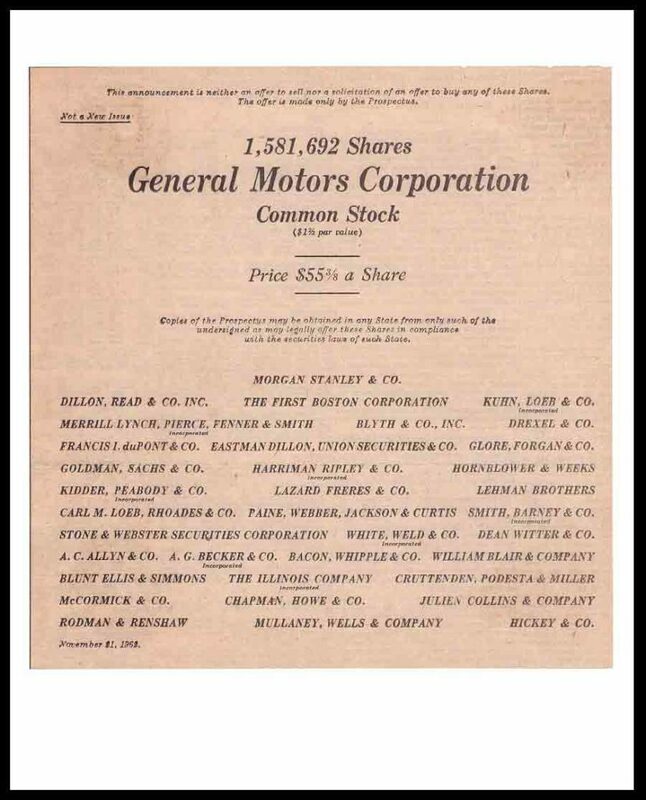 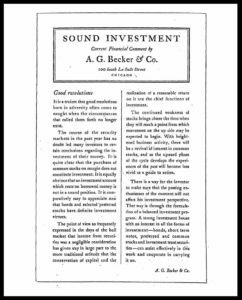 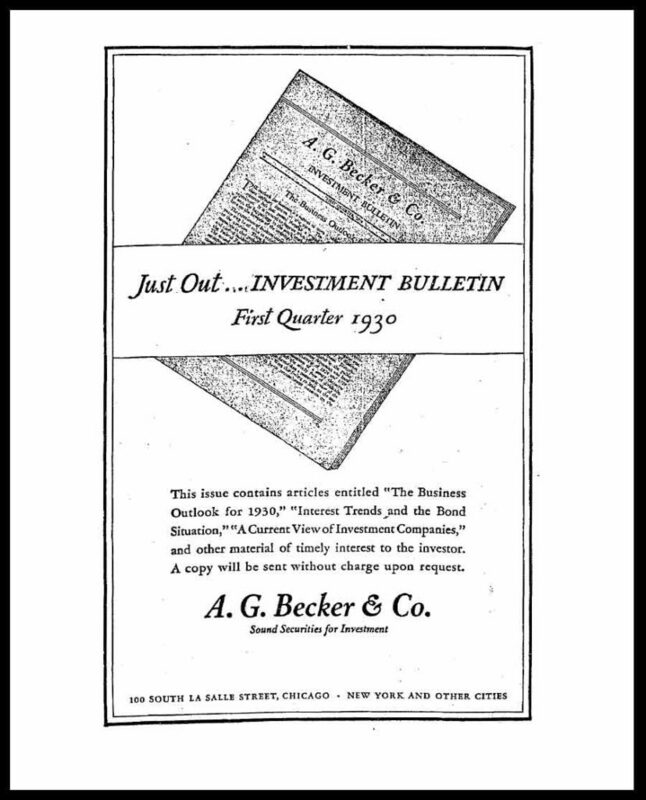 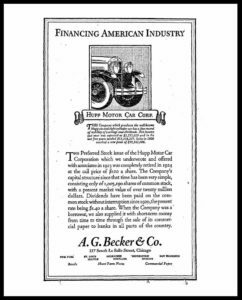 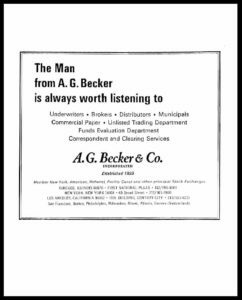 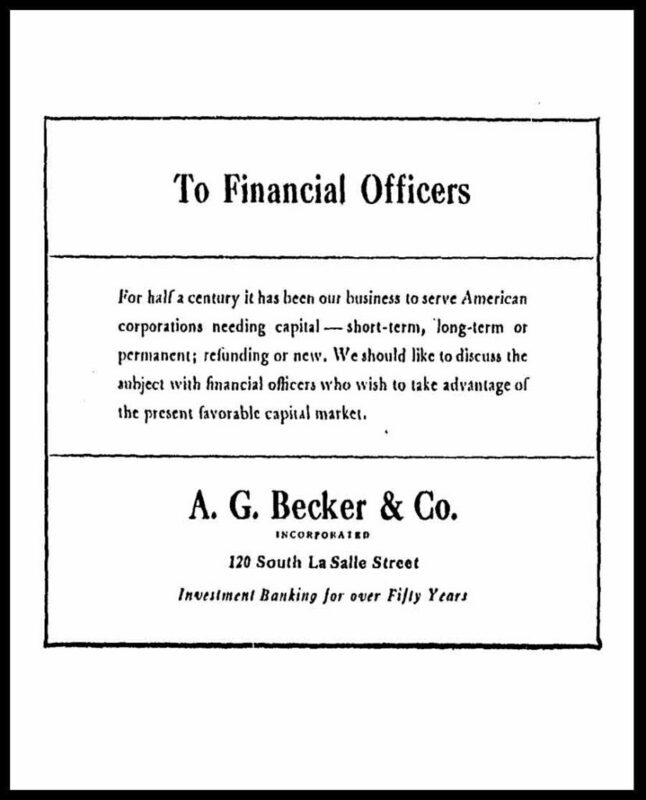 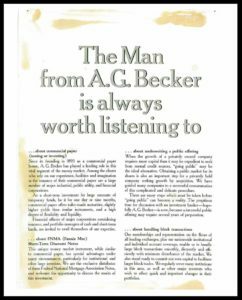 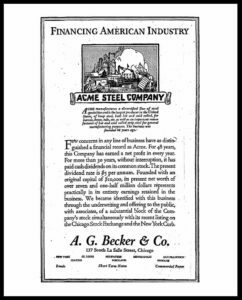 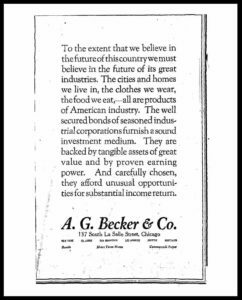 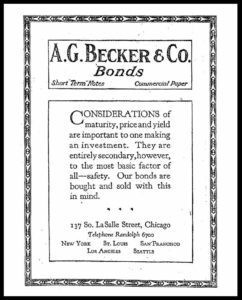 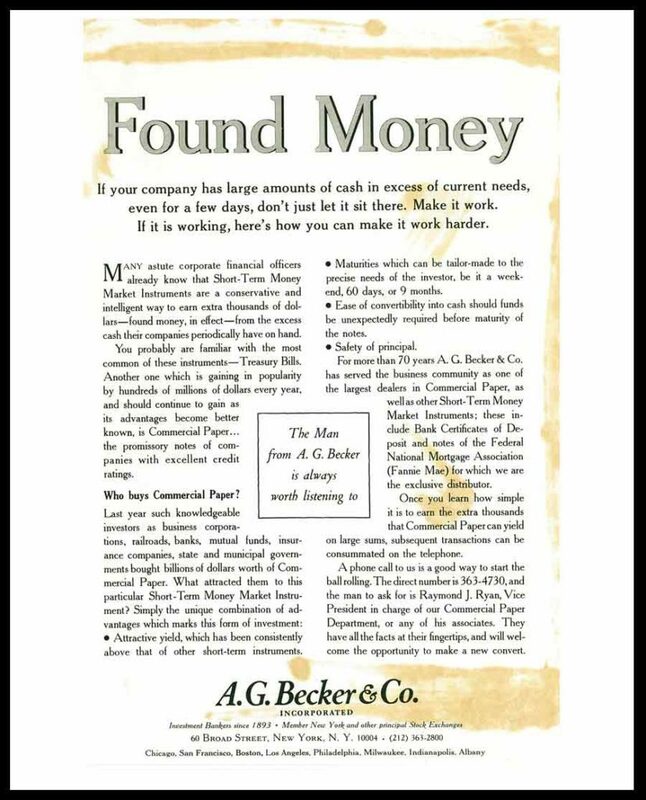 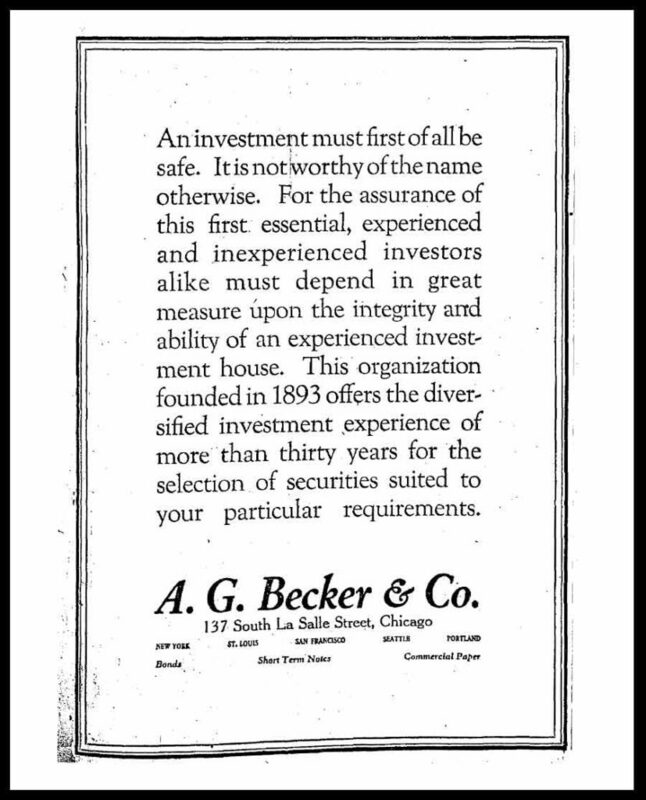 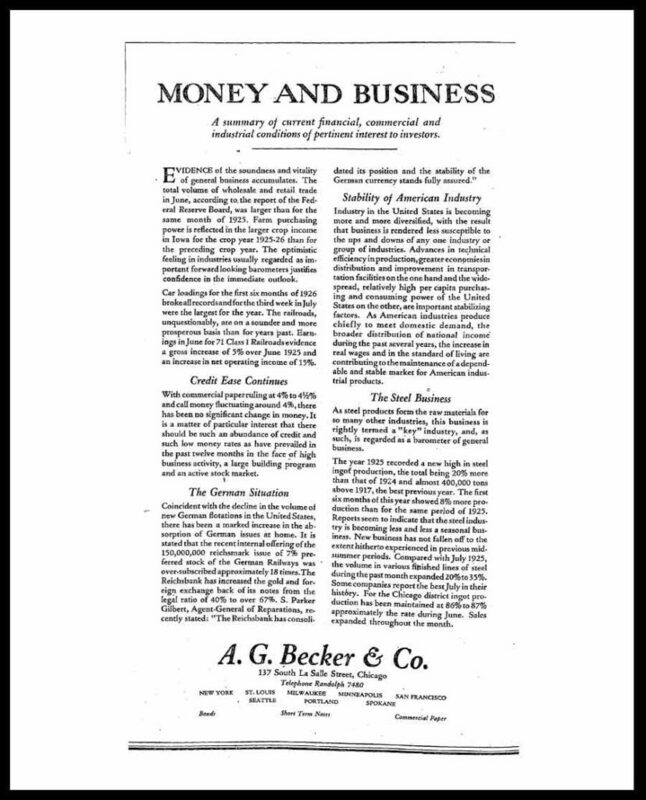 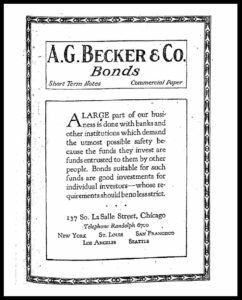 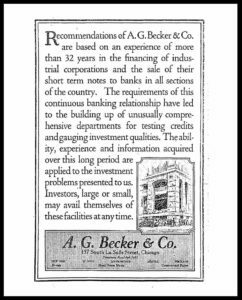 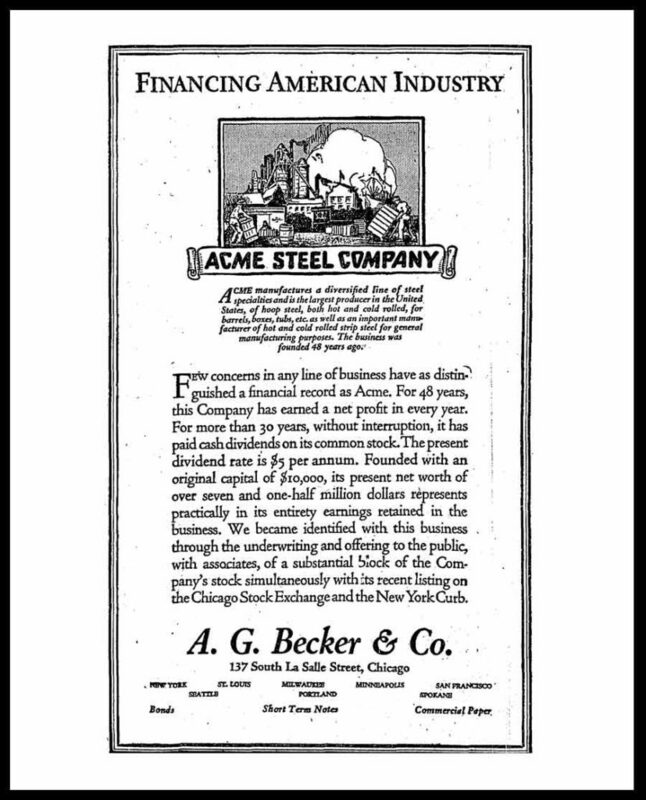 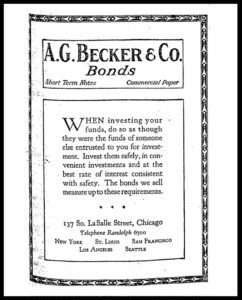 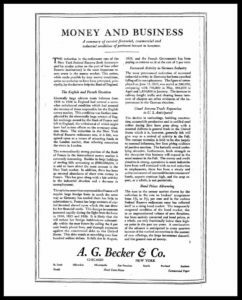 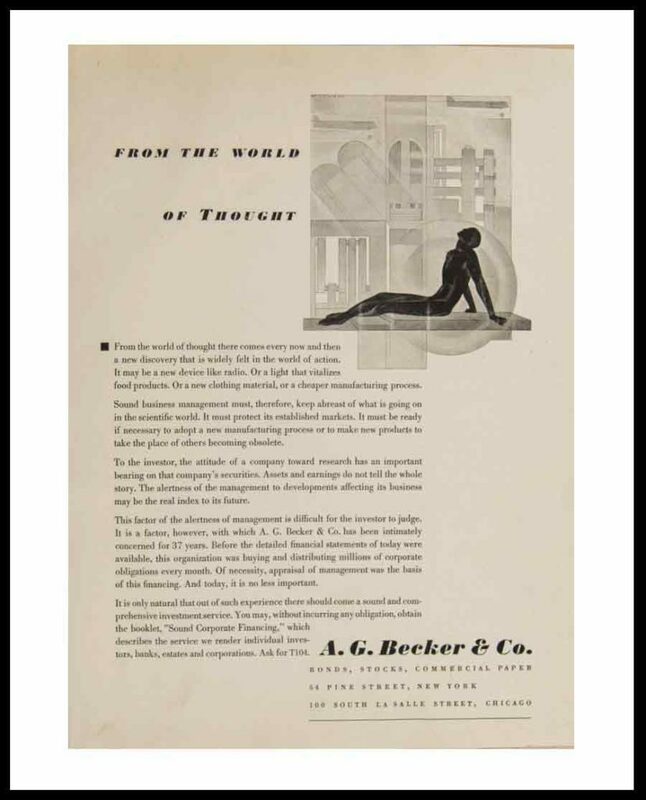 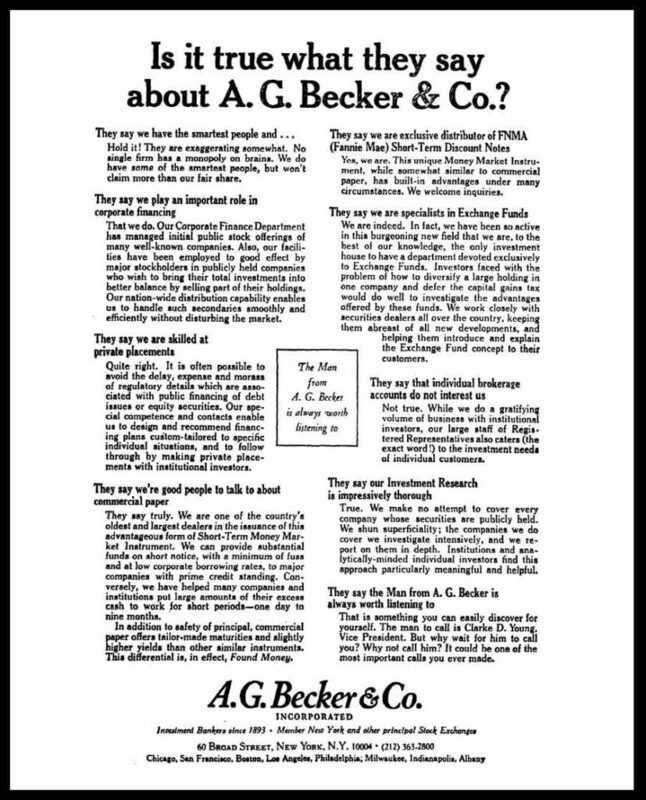 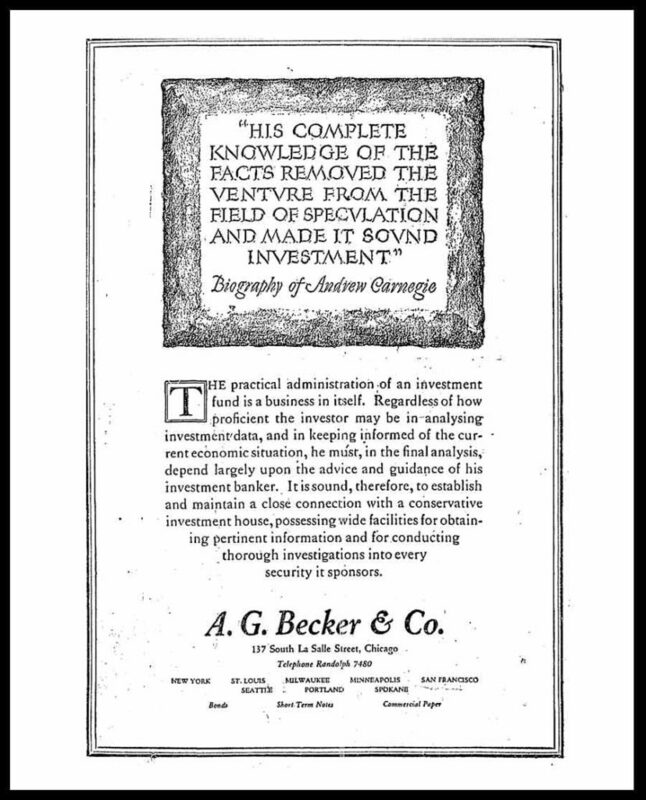 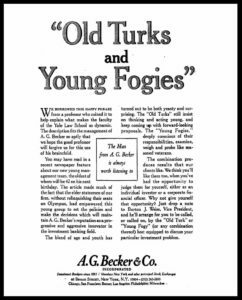 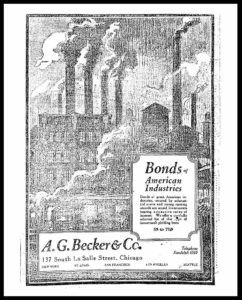 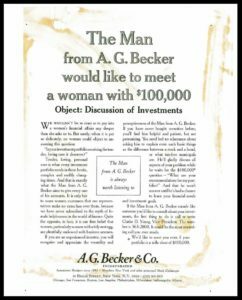 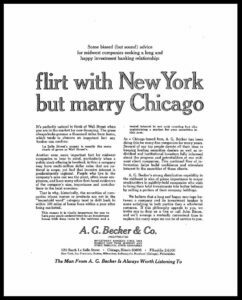 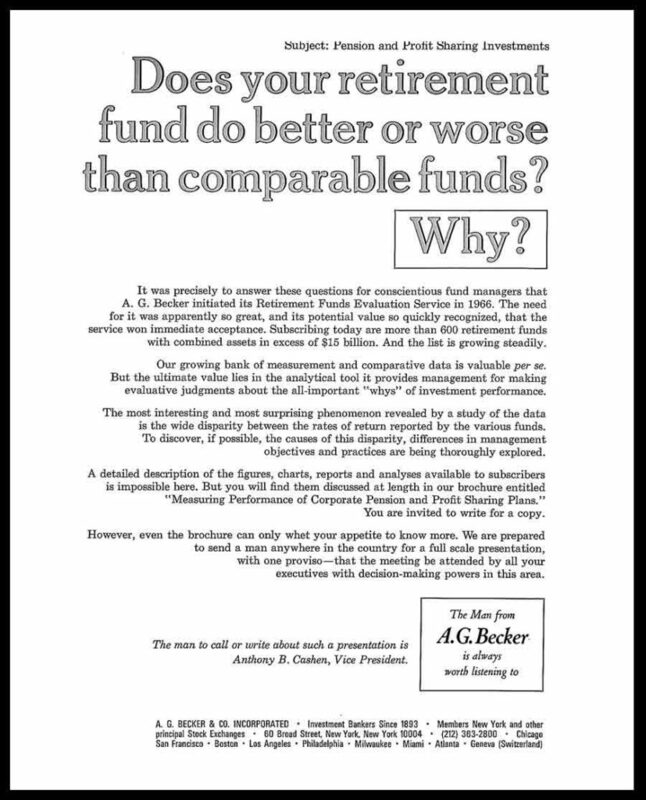 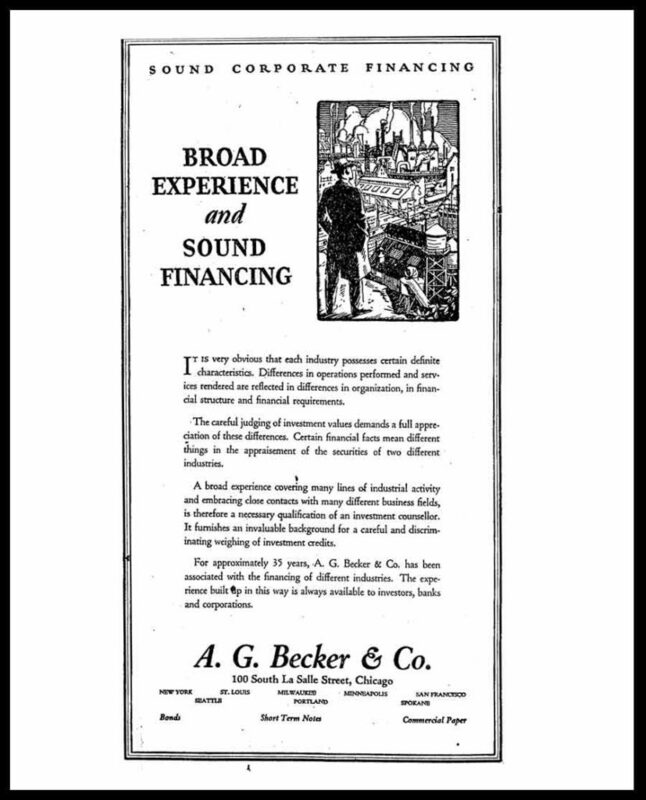 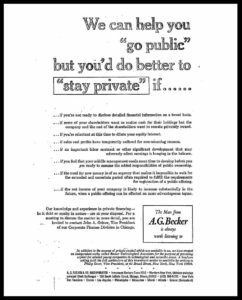 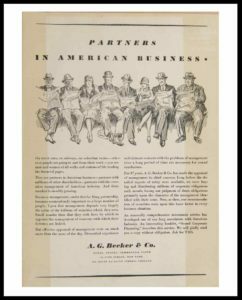 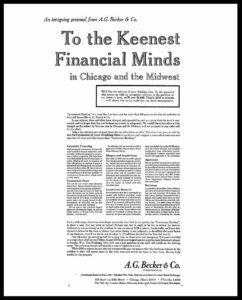 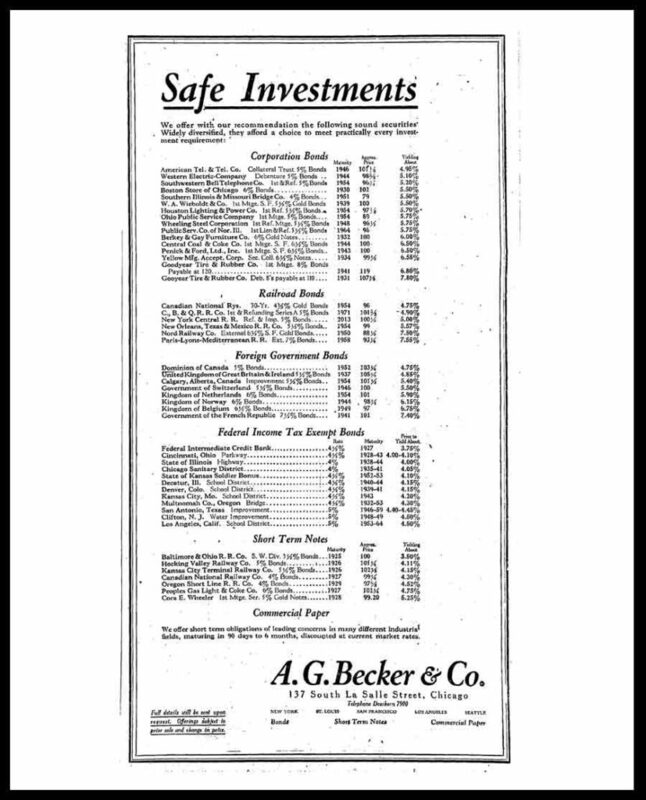 Particularly from about 1900 to the early 1970s, in interesting and creative ways, A.G. Becker & Co. promoted its view of the securities markets, its recommendations of particular securities, and its range of services to clients. 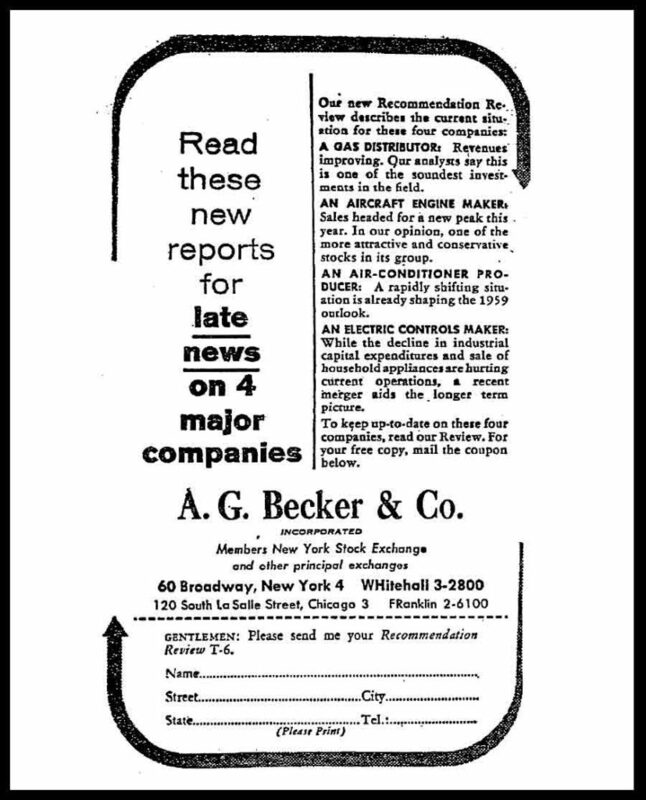 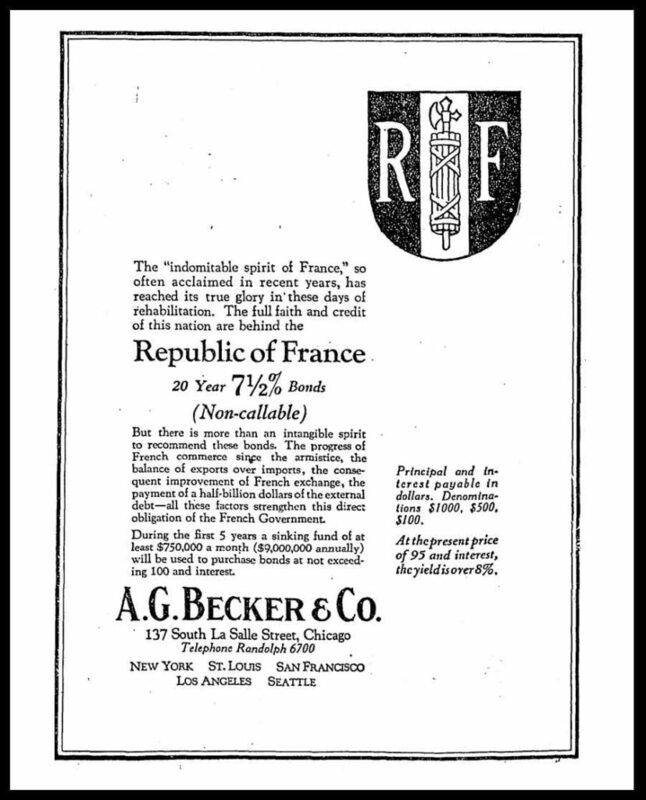 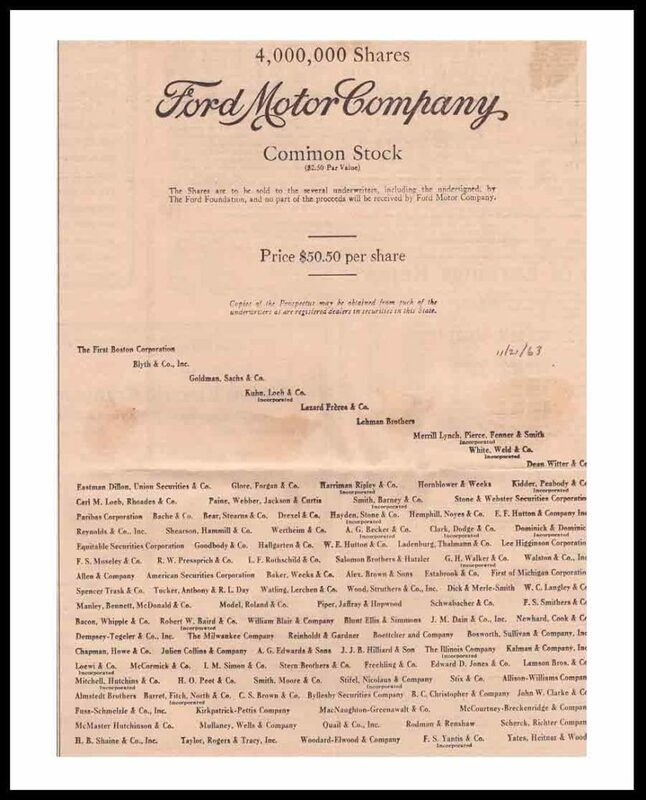 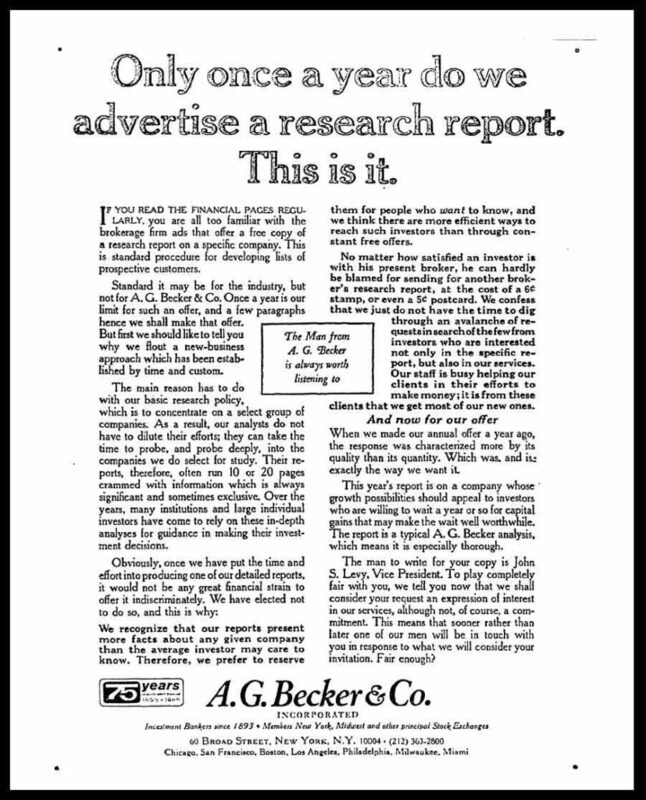 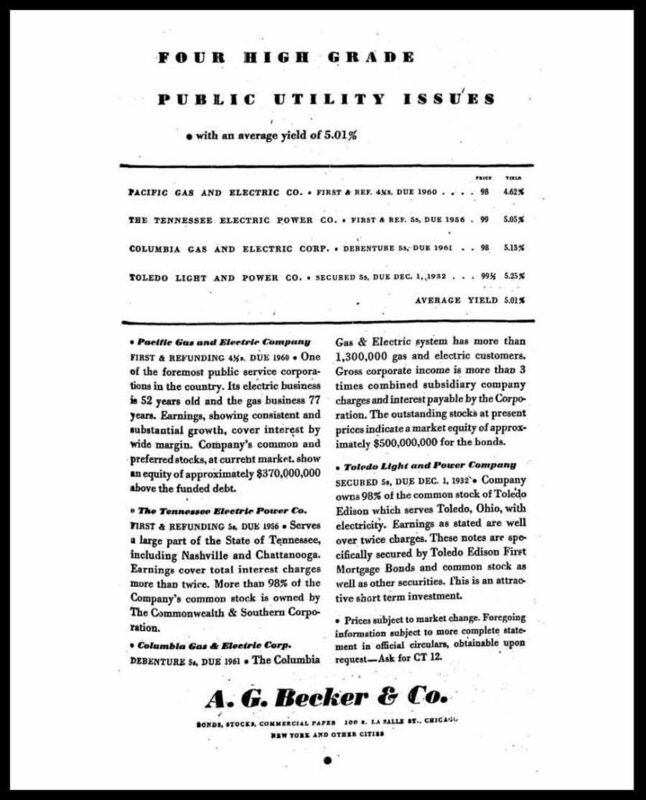 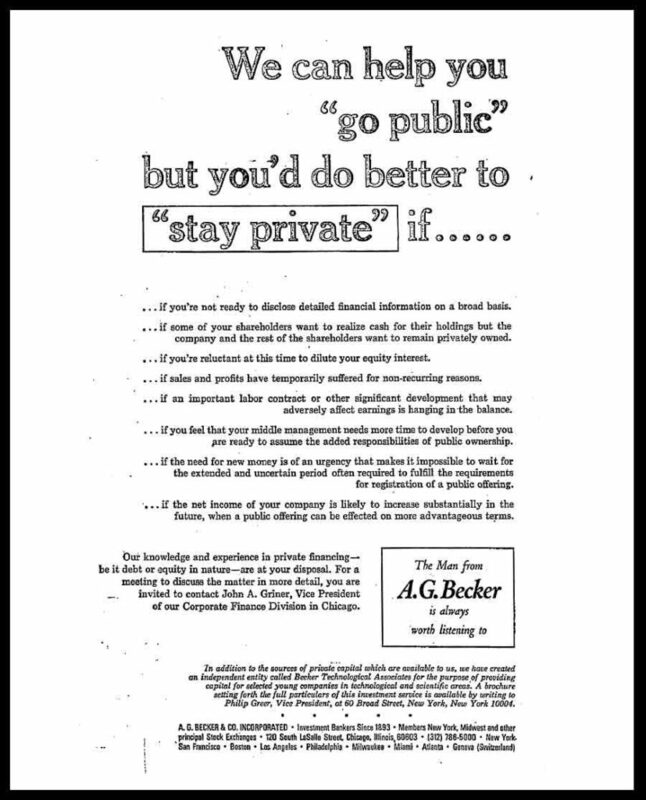 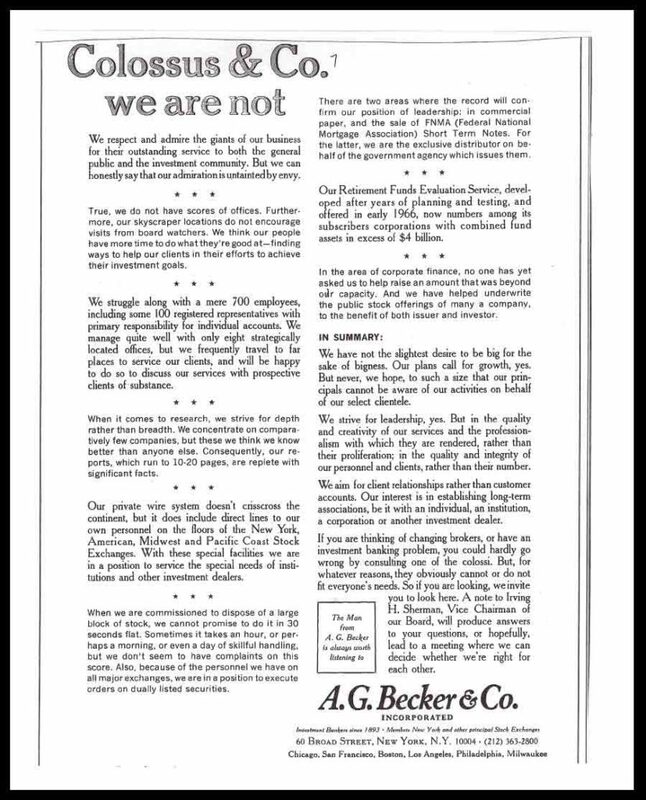 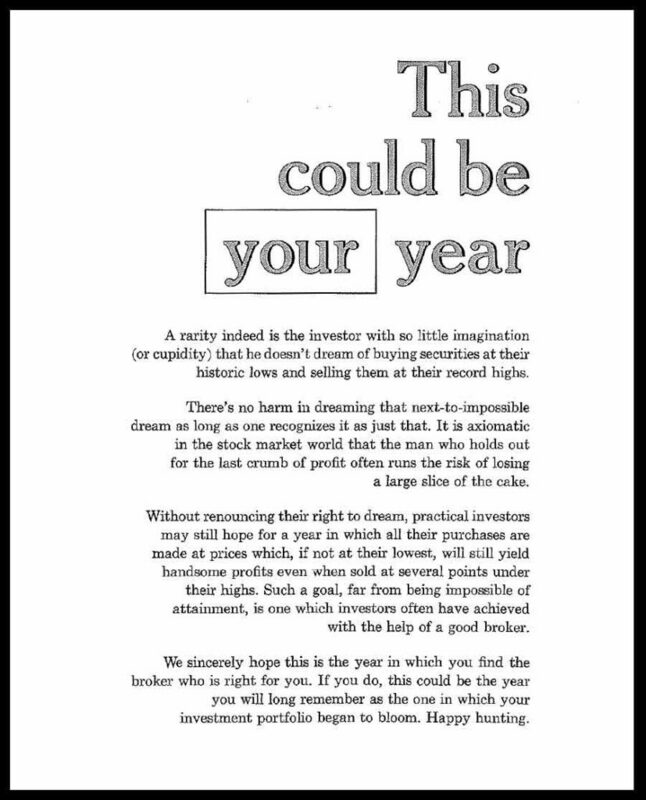 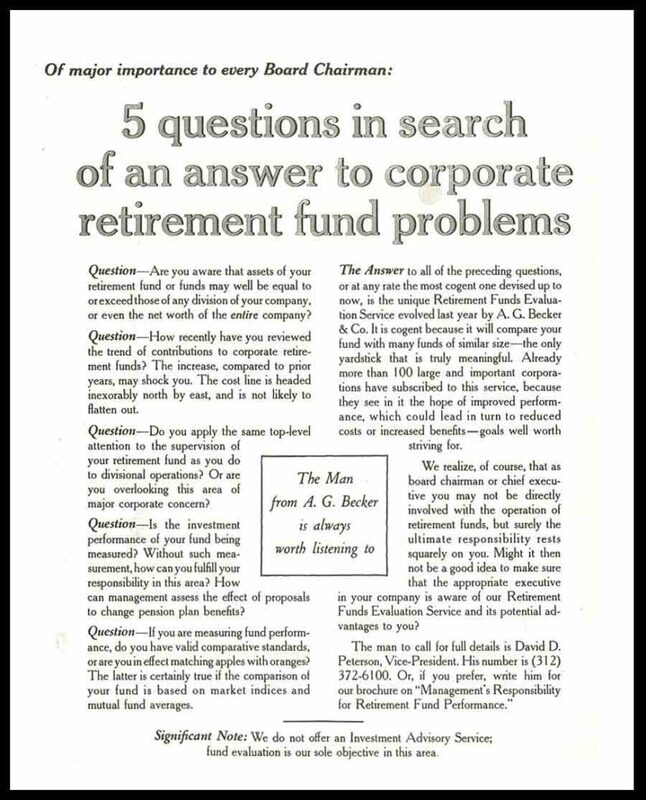 Advertising was the primary method used for such messages, but that medium was steadily augmented by various forms of public relations: press releases, speeches, articles, brochures, mailings, market observations, securities analyses, investment bulletins, annual reports, tombstones, and the like, examples of which are REFERENCED CHRONOLOGICALLY IN Appendix 5 and appear below in various documents. 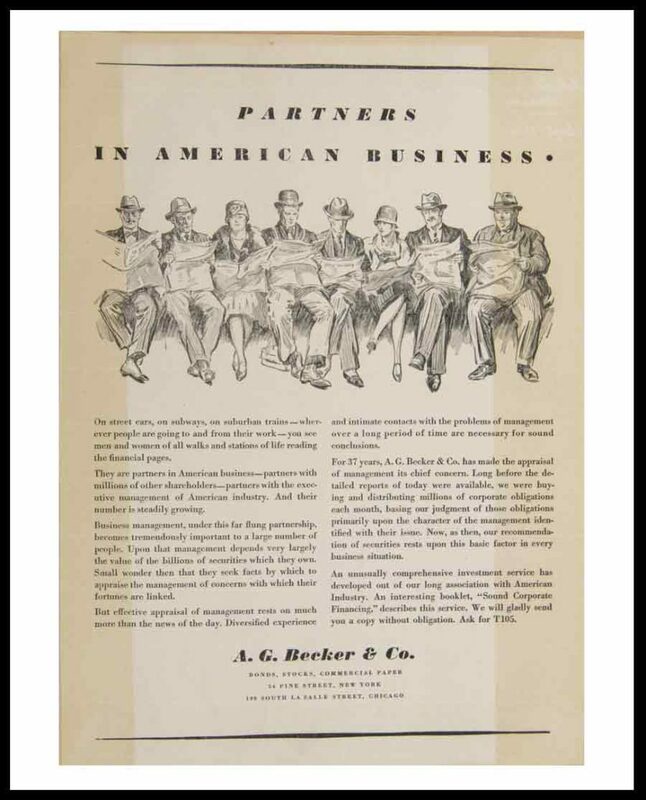 The sustained external communications program of the firm was an integral part of its historic development. 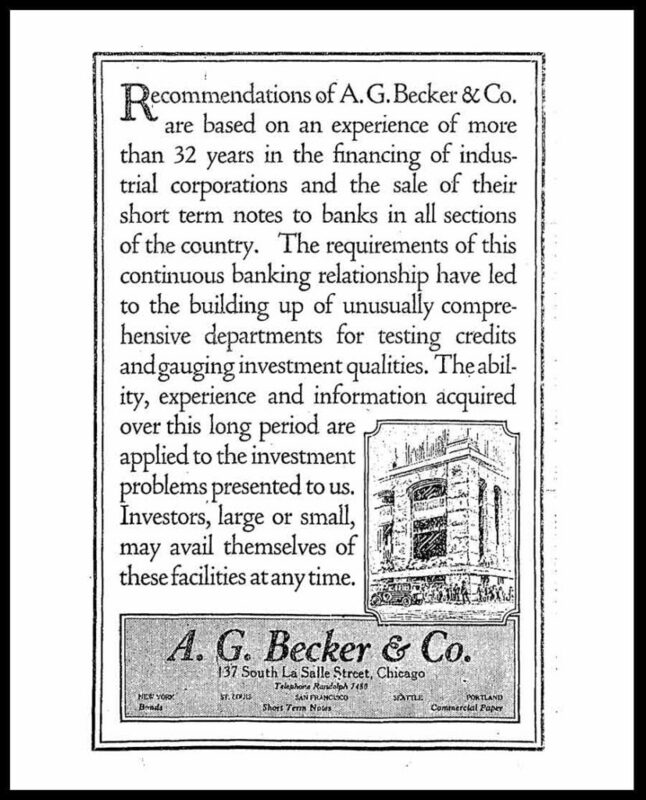 A large image of the ad will appear if you click on the particular ad. 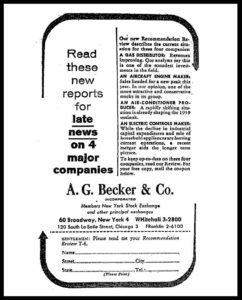 By hovering your cursor over the bottom edge of each advertisement, you will discover the date of the ad - year (4 numbers), month (2 numbers) and day (2 numbers).